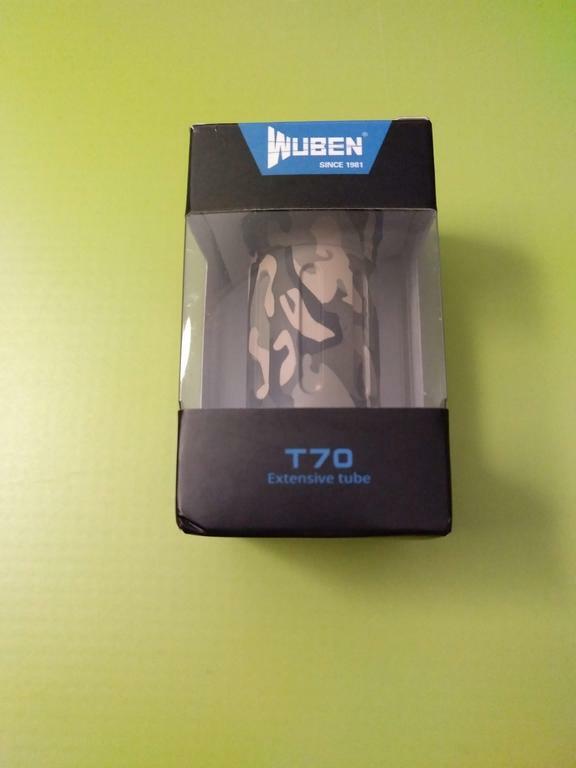 This is my review of the Wuben T70 Camouflage version. 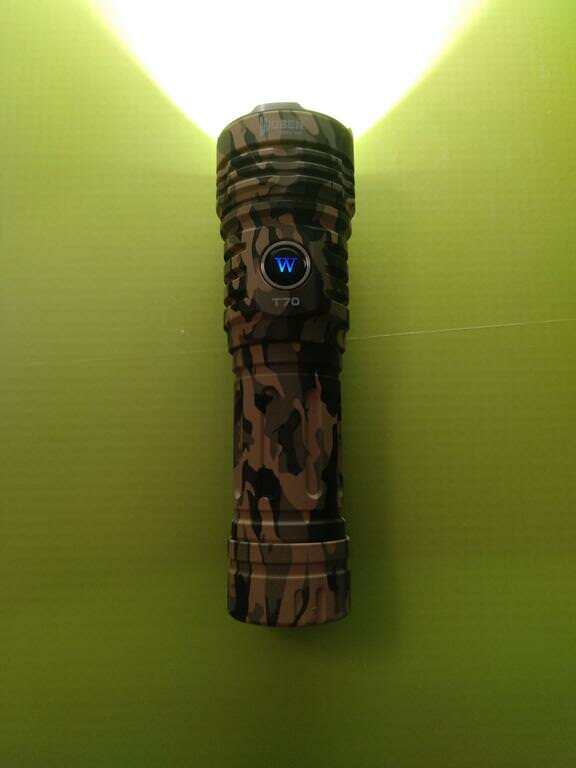 The flashlight was sent by Wuben after answering this thread (http://budgetlightforum.com/node/62371). 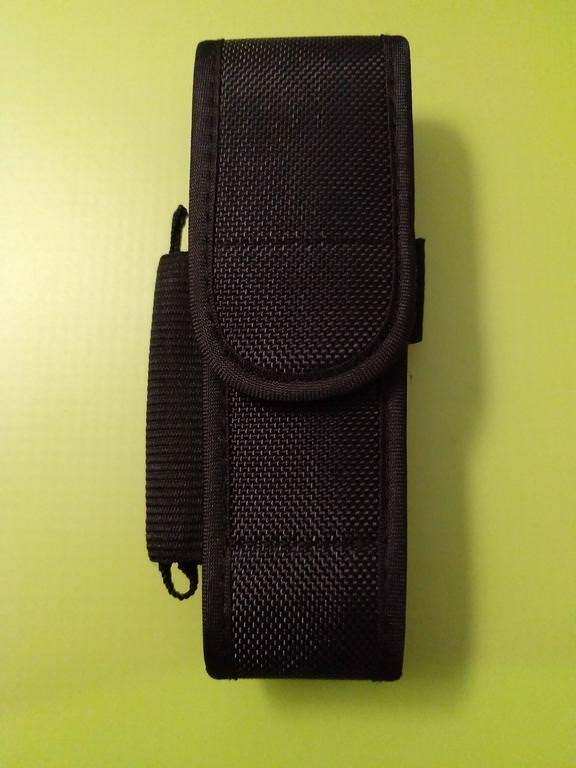 I thank to Jelina for sending it after solving some shipping issues! 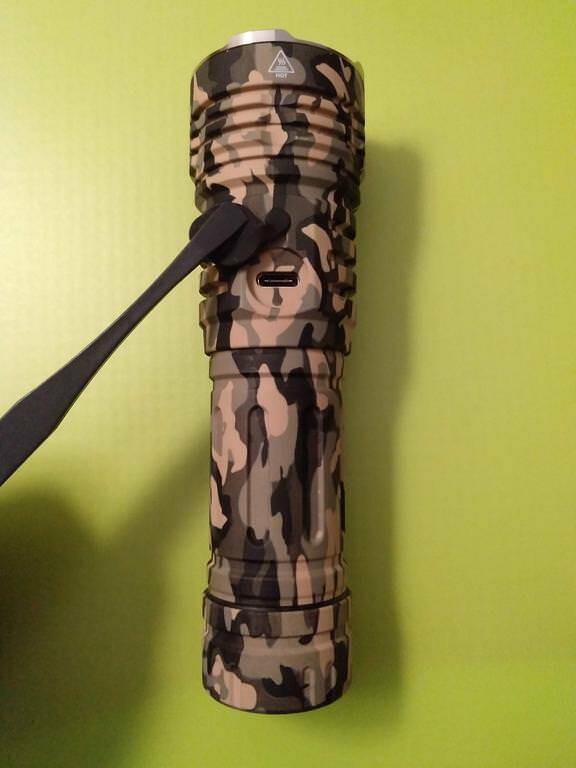 As always, I will provide my honest and unbiased review, showing some photos of the flashlight and giving my opinion on it! 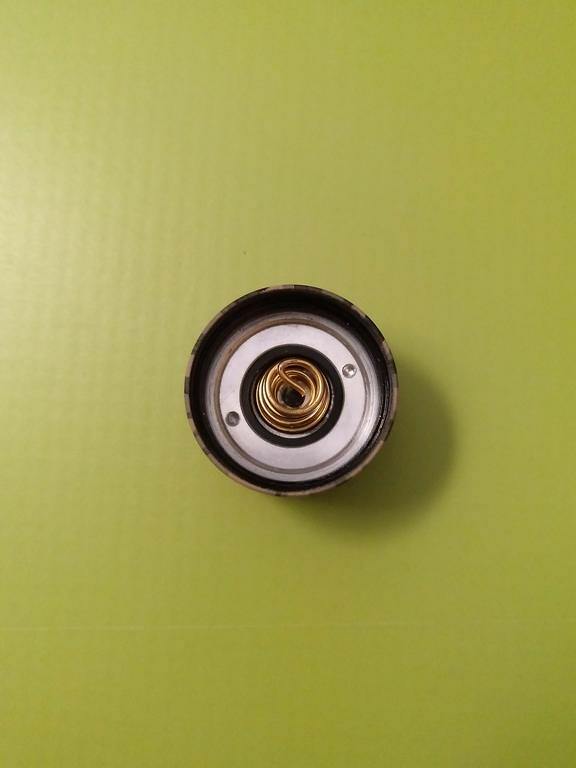 Reverse Polarity Protection: Not Specified (I tested the flashlight with the battery inverted and it didn’t turn ON and didn’t get hot, so I believe it has RPP). 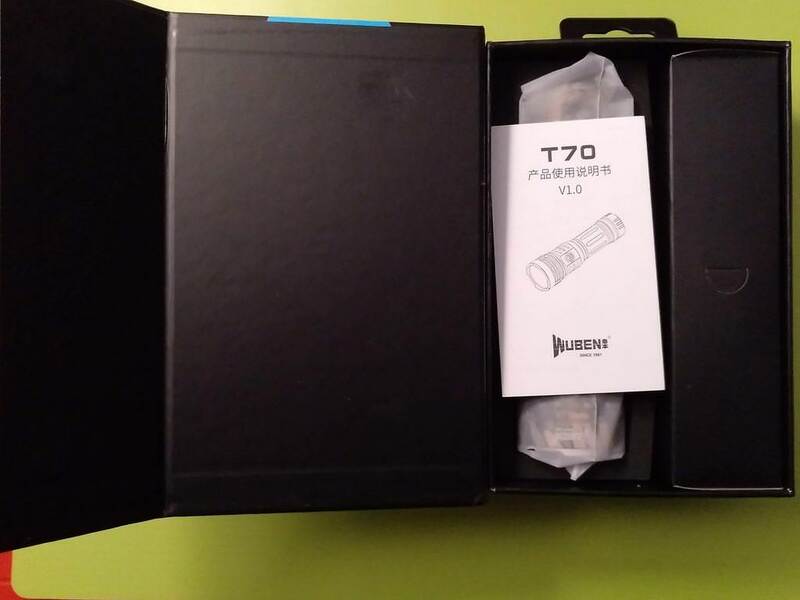 The Wuben T70 arrived very well packed, wrapped in a plastic bag, tape and bubble plastic! 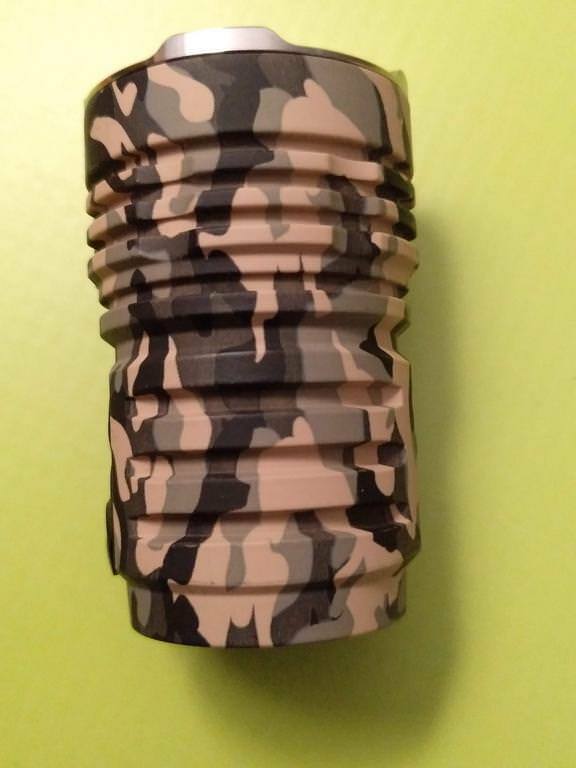 The similarly to what is done with the Wuben E05, the box is black and blue. 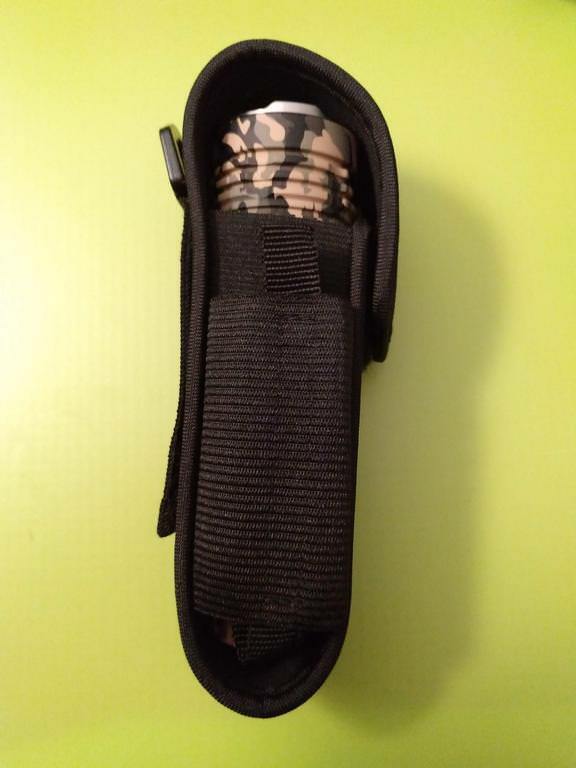 Previous flashlights’ boxes I got (Wuben TO10R and TO47R) were black and purple! 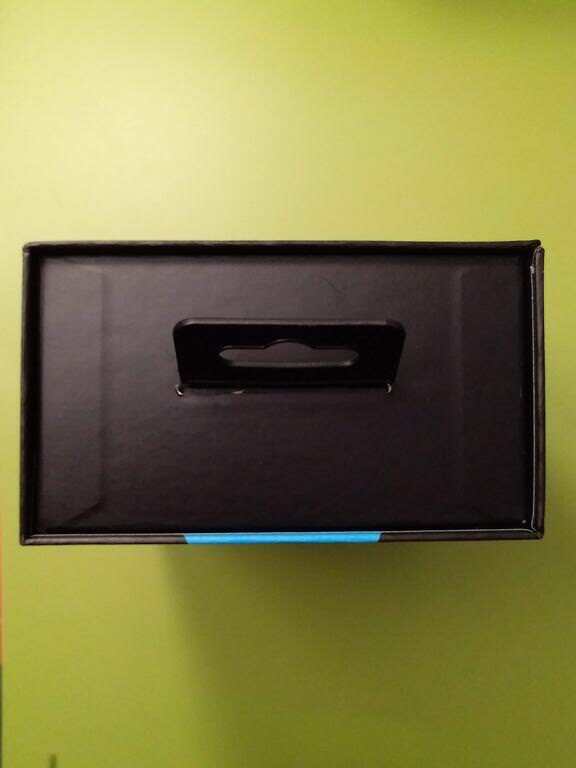 The box is very protective, being opened by the side, not top or bottom. 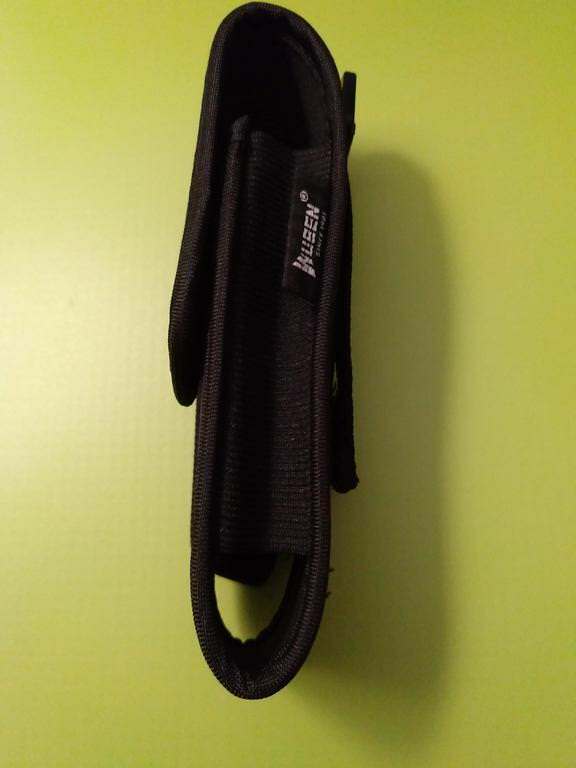 It has magnetic closure. In the front and in the back we find some short information about the general specs of the light. 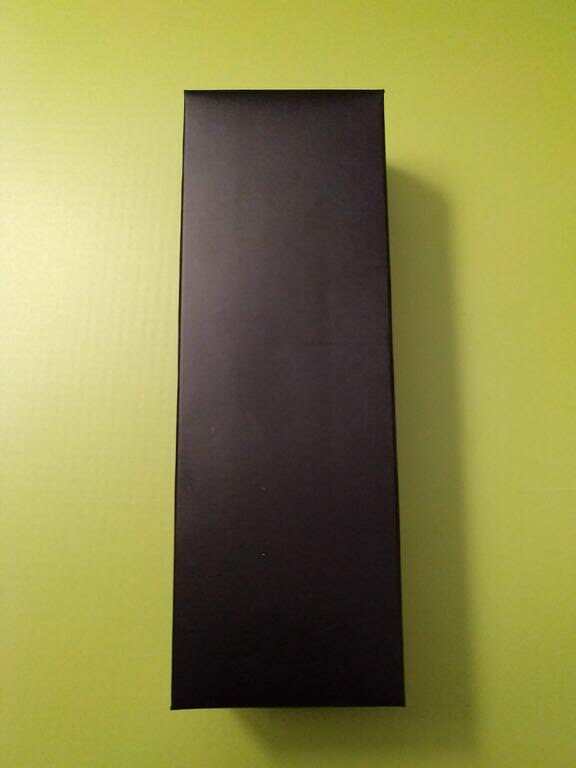 On top, a hole to hang the box, and on the bottom, the LED and body information. 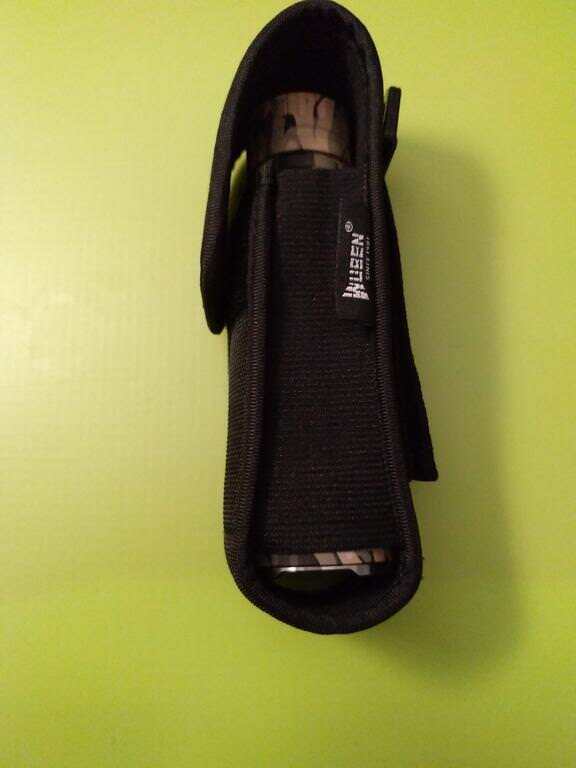 As can be seen, in the interior there is protective thick foam to avoid impacts or damage to the flashlight. 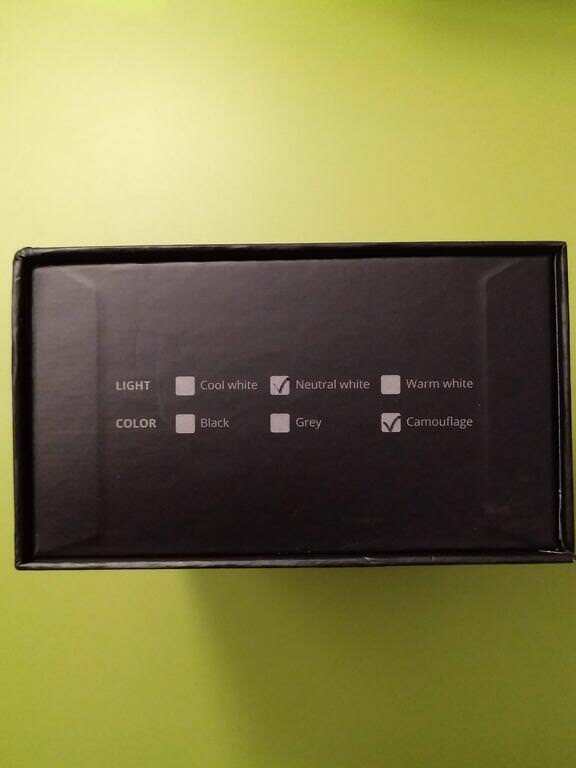 Opening the box, what do we find? 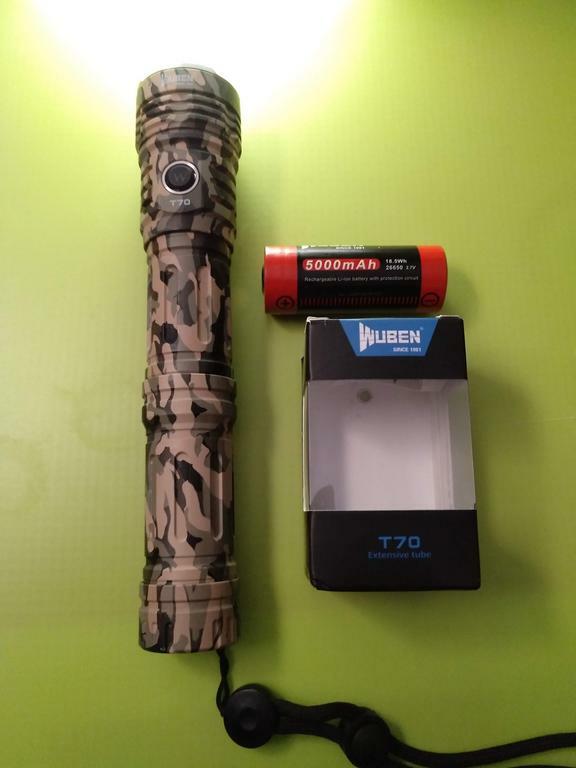 The Wuben T70 flashlight (inside a plastic bag), with a Wuben 26650 battery inside (there was a plastic piece on the negative contact to hinder draining or activation during shipping); a black box with the accessories inside – USB-C cable, holster, lanyard, 2 o-rings; the Warranty card; and the User Manual. 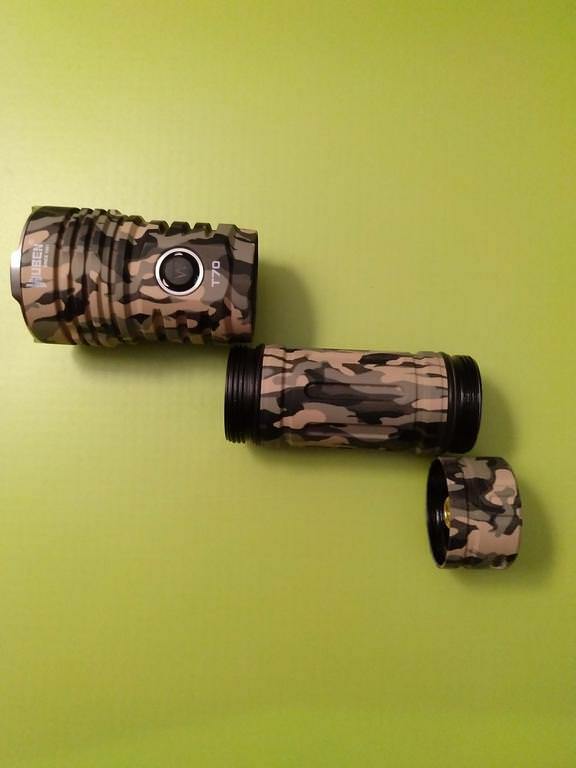 Well, here it is, my first 26650 flashlight as well as my first Camouflage light! 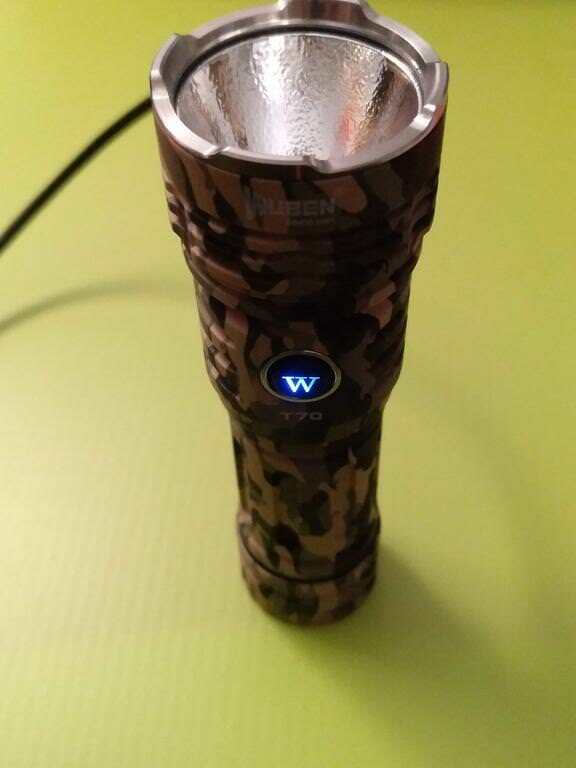 The flashlight delivers all Wuben quality in the outside and on the inside! 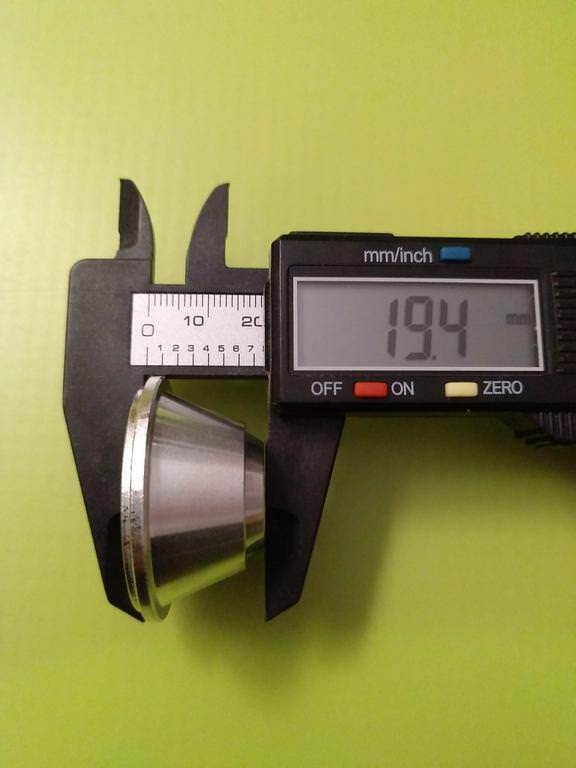 Machining is awesome with no flaws, on the exterior and interior! 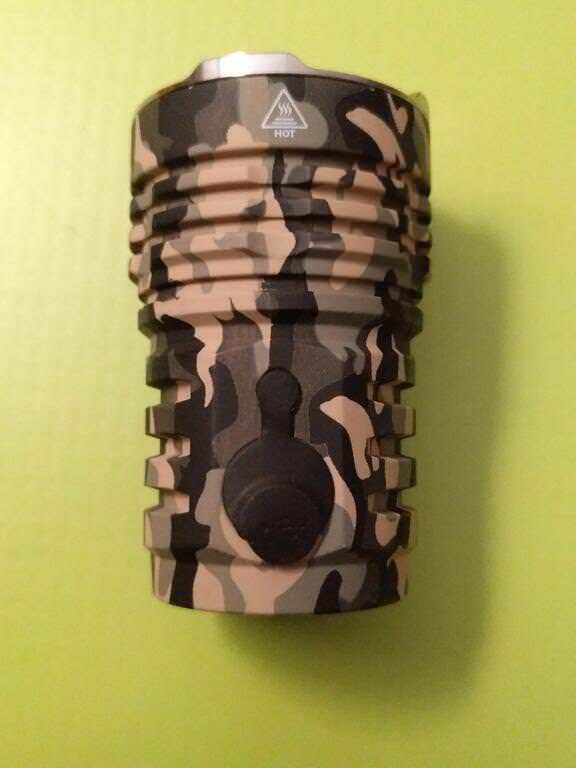 Anodizing is well done, it is not aggressive nor soft, and makes it very good to the touch and handling! 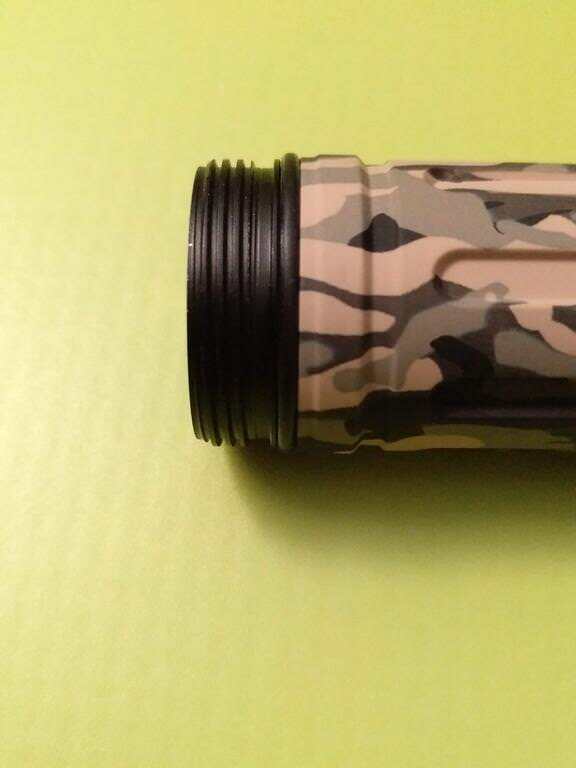 There is no knurling, only some grooves in the battery tube and some cooling fins on the head. 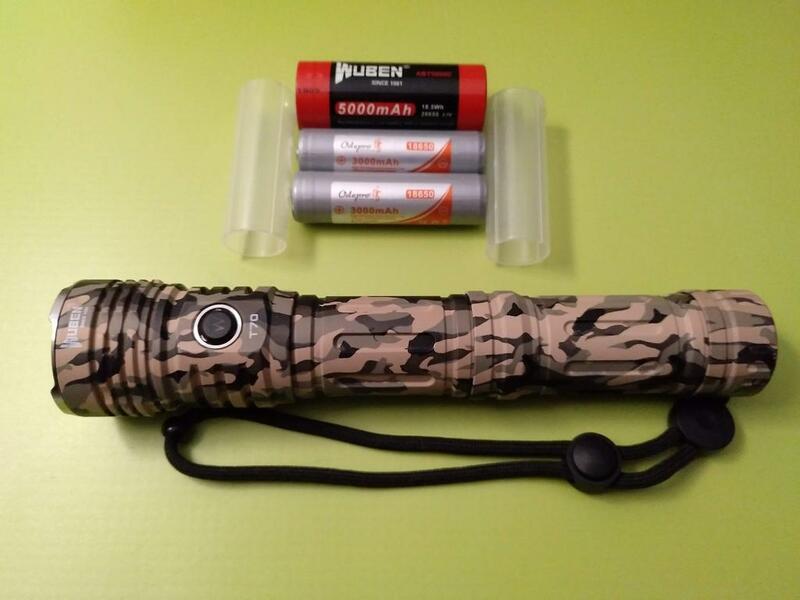 The flashlight can be opened and has 3 parts, head, battery tube and tail! On the front it has the e-switch (with the typical W button) and on the back (not symmetrically), it has the USB-C charging port covered by a rubber cover. Focusing on the head, now! 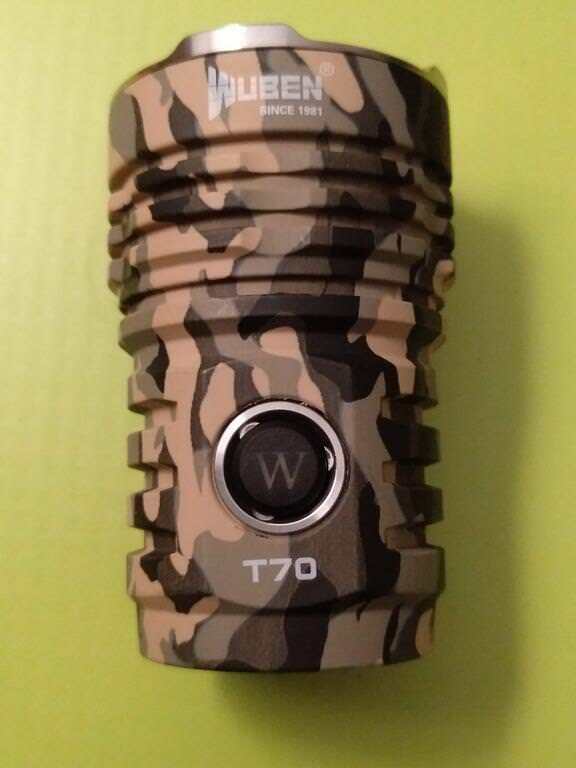 The Wuben T70 has a stainless steel bezel with some grooves (depending on the perspective) to be used in an self-defensive / aggressive way or simply to let light pass when the flashlight is laying with the head towards the ground! 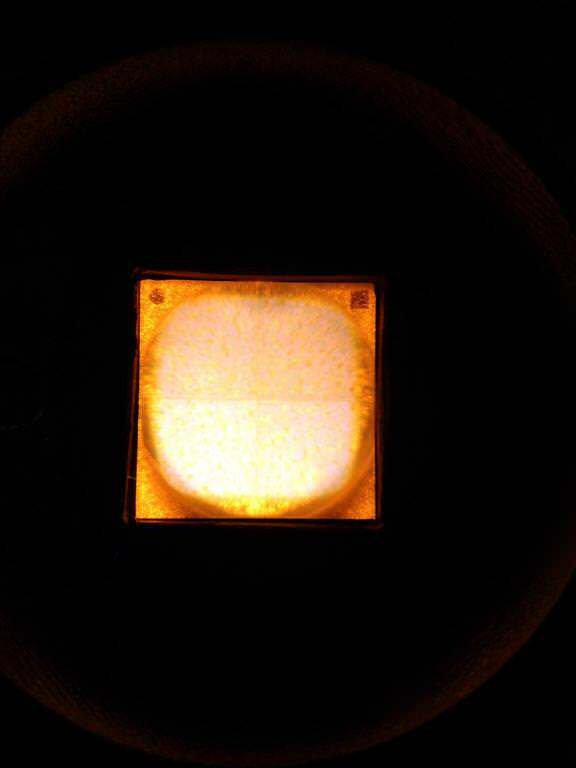 Disassembling the head, we find what’s above the reflector and LED. 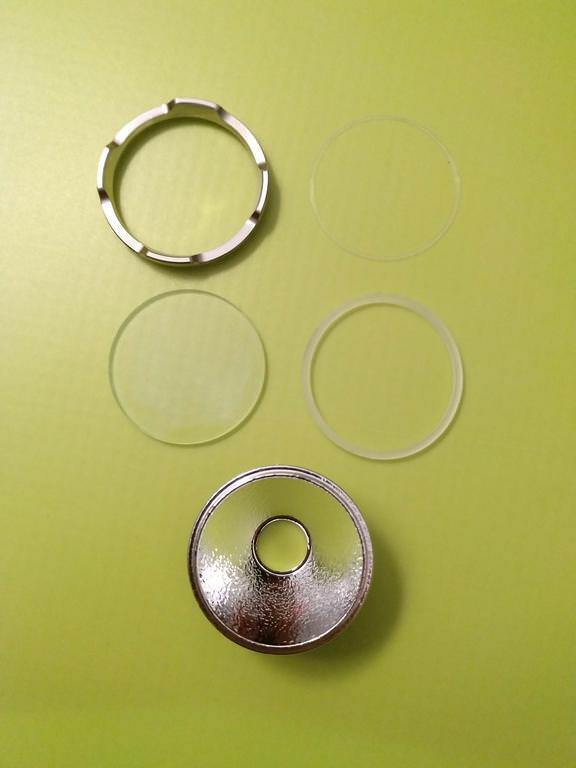 There we have the stainless steel bezel, a thin o-ring, the double AR Coated glass lens, and a thicker sealing o-ring that fits around the lens. 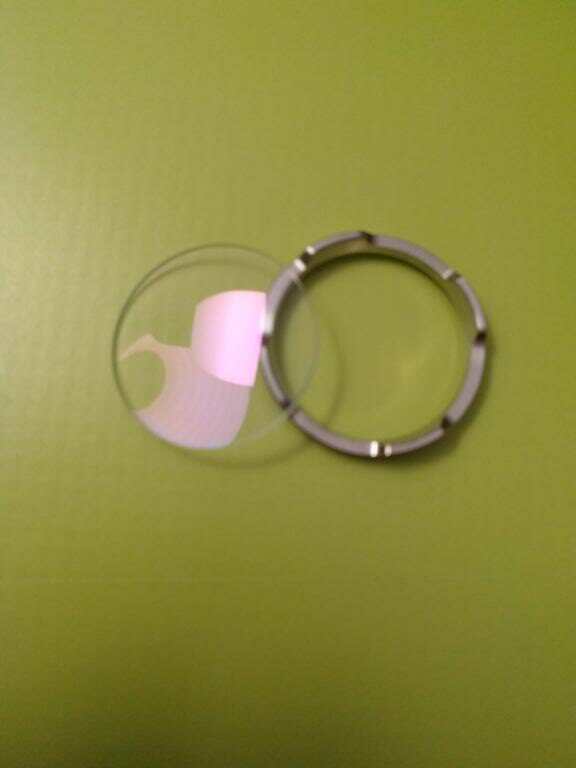 The lens is well made, with round edges. 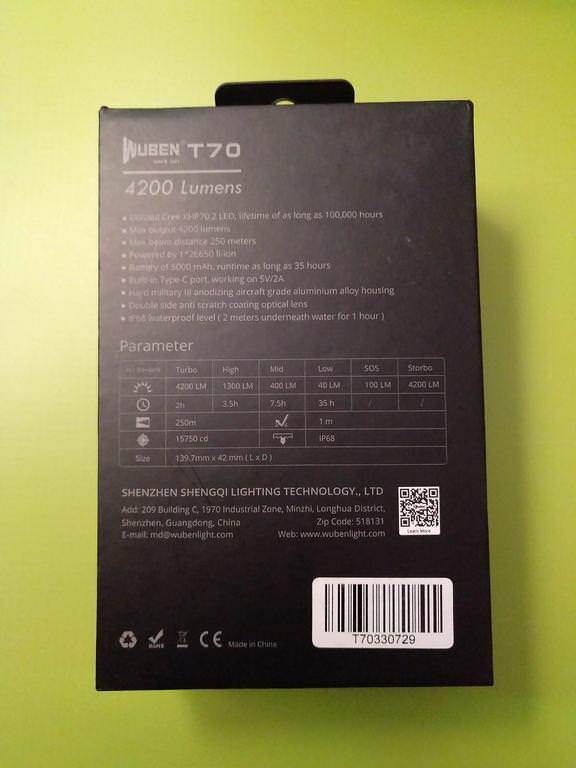 The Wuben T70 has an Orange Peel (OP) reflector, that allows a more widespread beam! 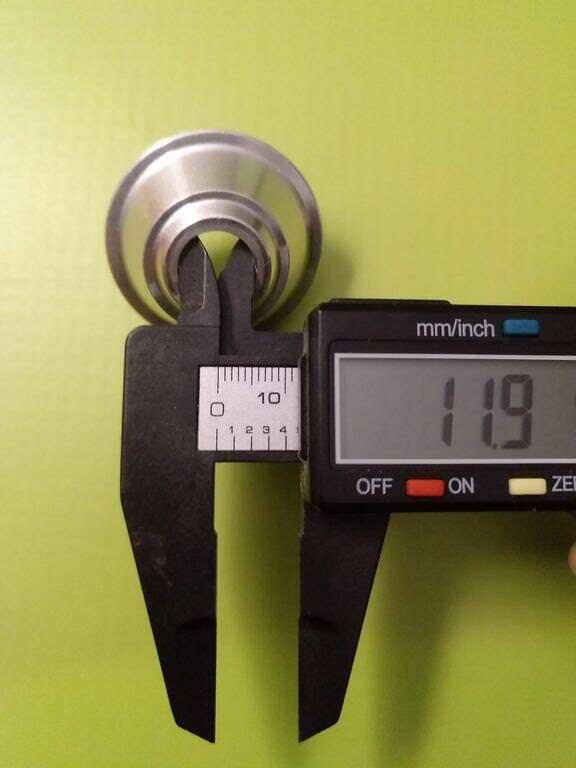 It is made of aluminium and has not flaws as well! 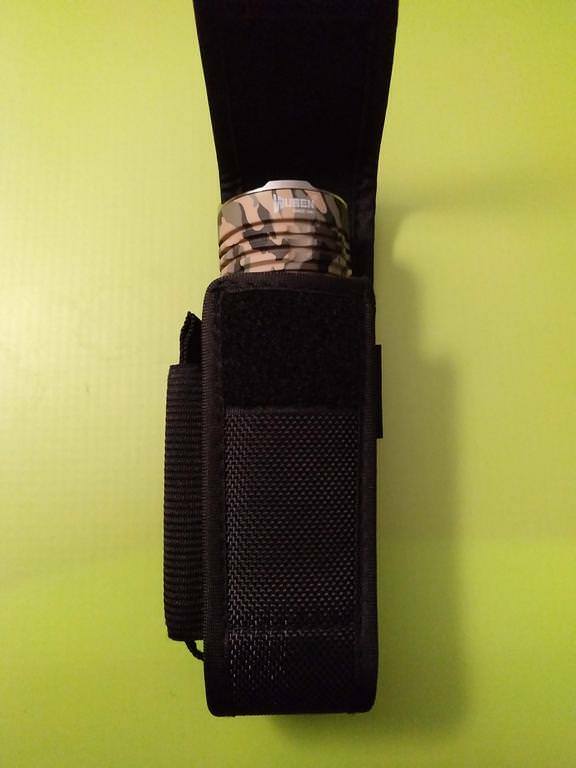 On the bottom side of the head, we can see the *driver*…well, at least the spring and the black plastic protection of the driver. I didn’t take it out too, as it seems to be glued. 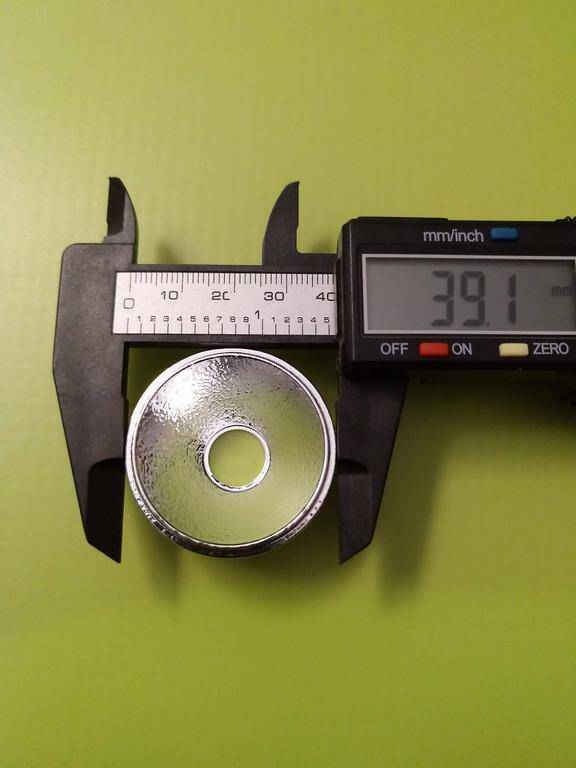 We can see that there are double springs in the driver, a thicker one on the exterior and a thinner one on the inside. As mentioned above, the grooves of the bezel allow the light to pass when it’s facing down in a table of another surface. 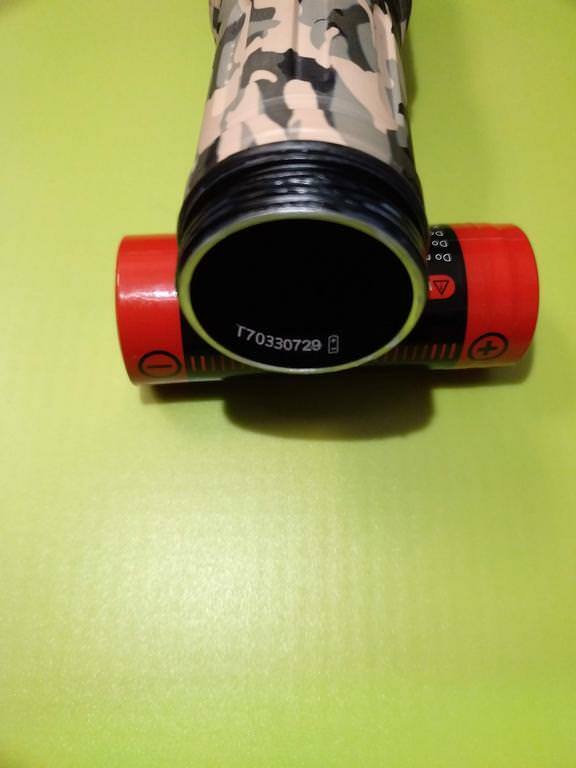 About the battery tube, it has some grooves as well, that help having a better grip on the flashlight! 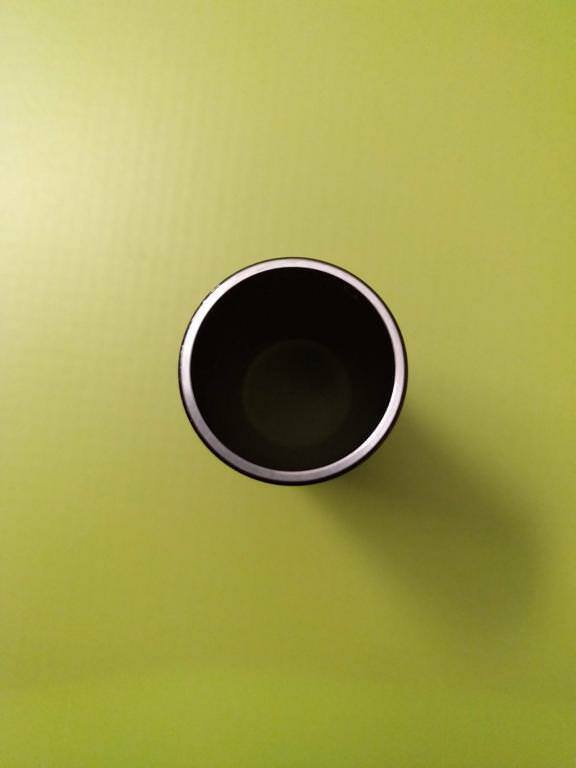 On each tip, the tube as a sealing o-ring. The threads are square and arrived well lubricated! 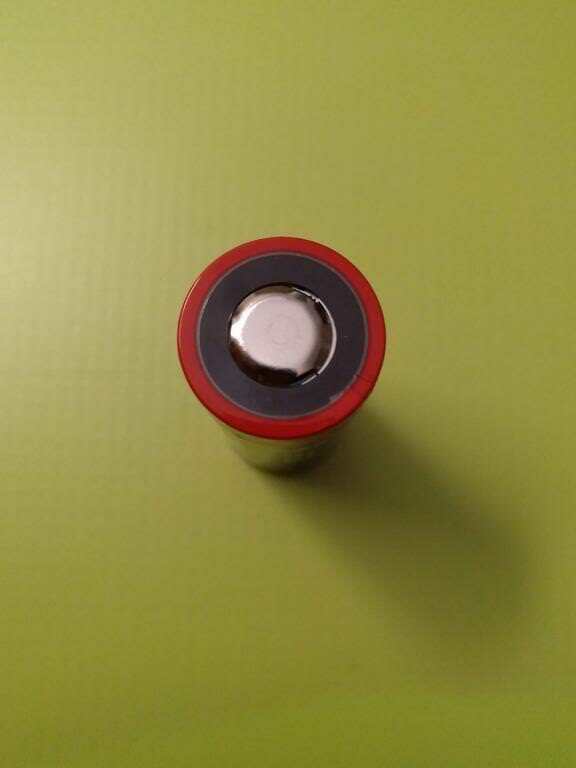 The edges are well cut and on the bottom part of the tube, we find the indication for battery polarity! 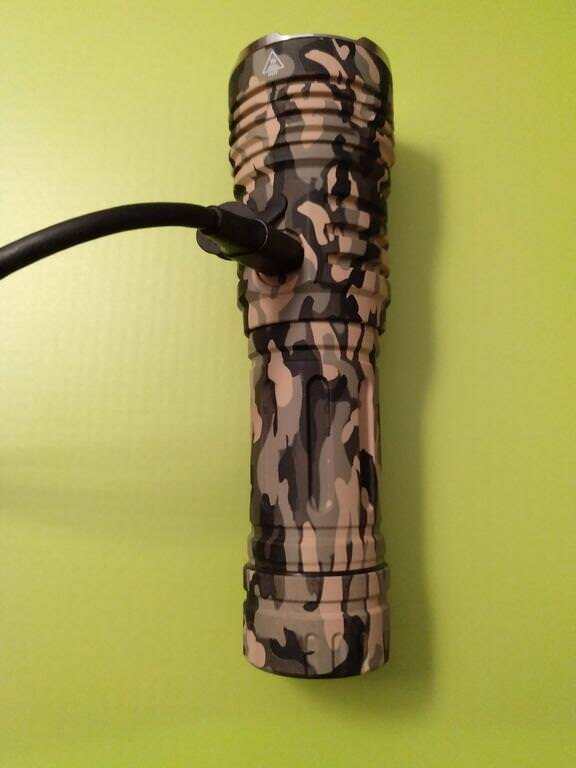 Despite this, the tube is reversible, so the flashlight can be turned ON if the tube is reversed. 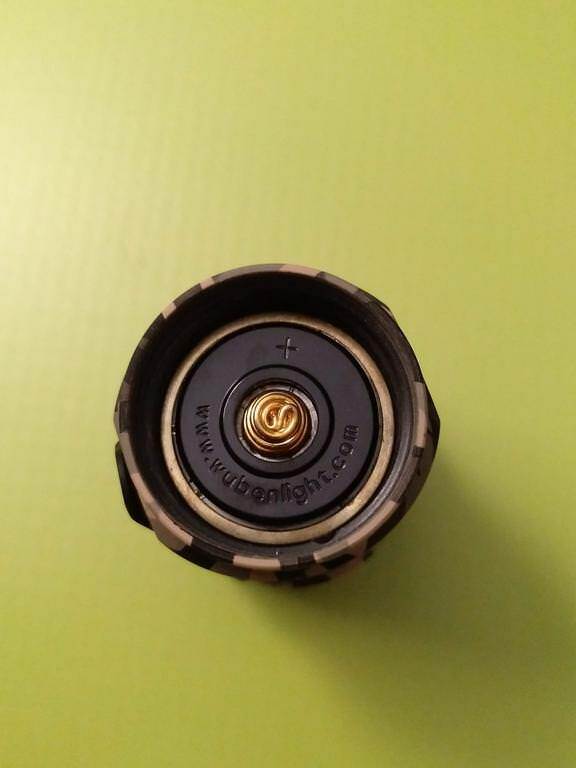 On the tailcap, we can find a lanyard hole on the outside, and on the inside, double springs (as on the driver, a thicker on the outside, a thinner on the inside!). 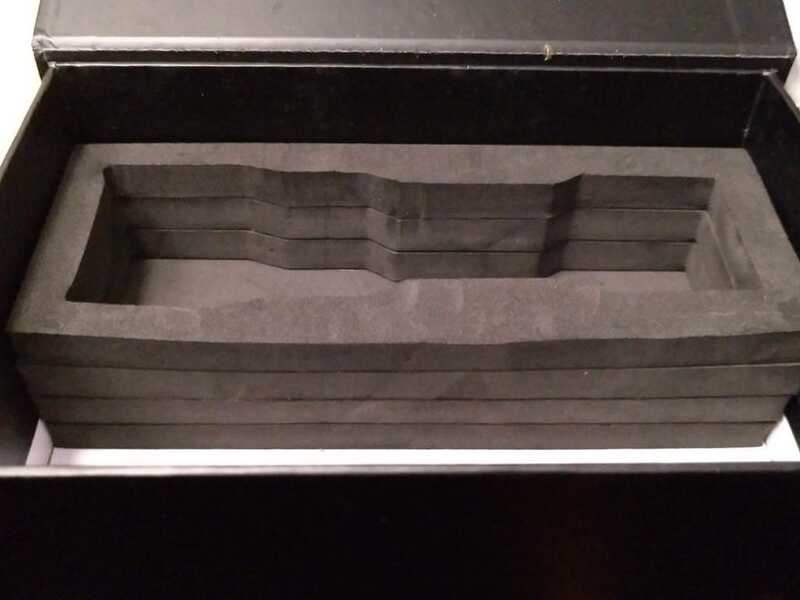 There are no magnets or other artifacts there! 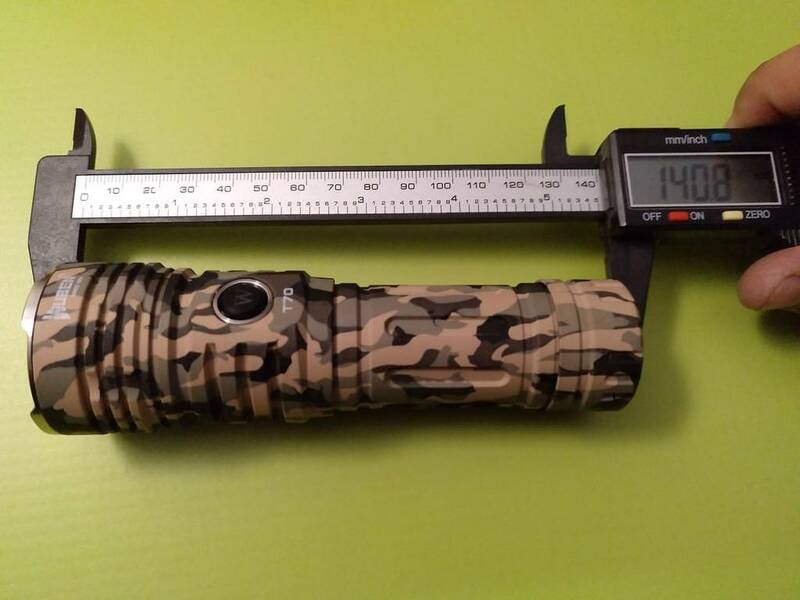 Some data on the flashlight measurements and weighting! 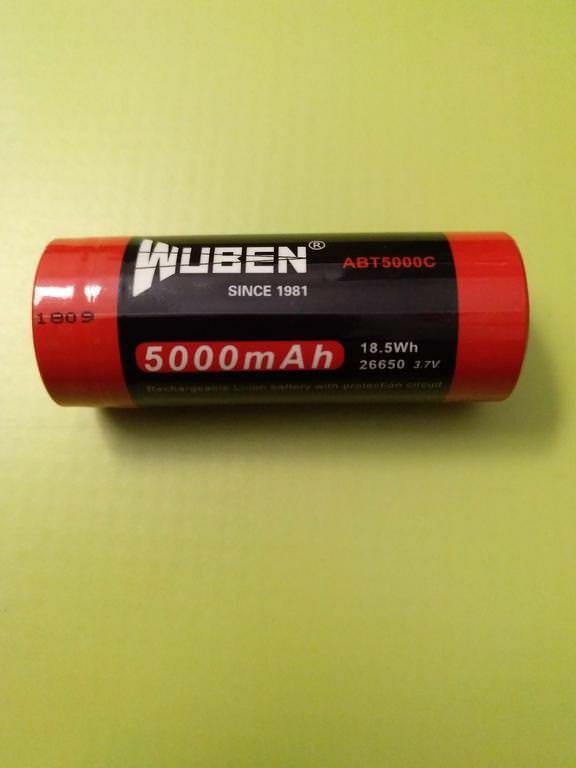 As mentioned above, the Wuben T70 has in-built charger through USB-C cable. The USB-C port is on the opposite side of the Side Switch, protected by a rubber cover. According to specs, the battery will charge in 4 hours through USB-C charging! 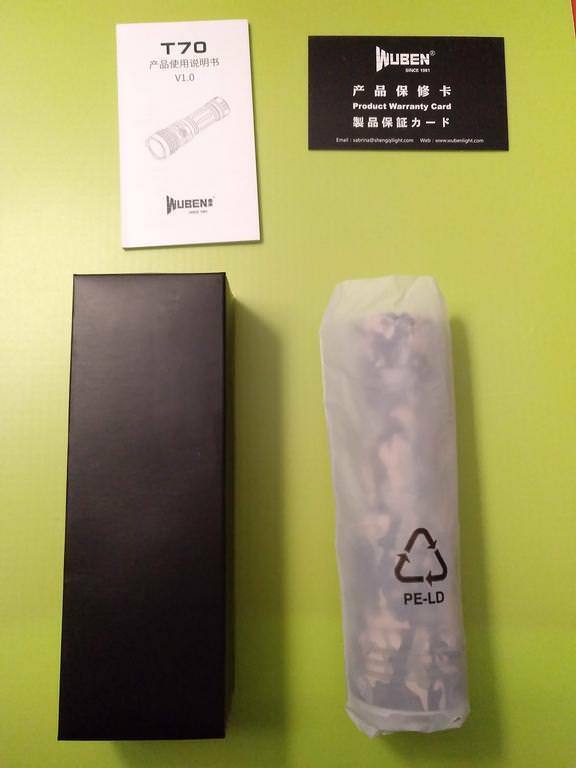 Onto the rest of the package now, we get the accessories! 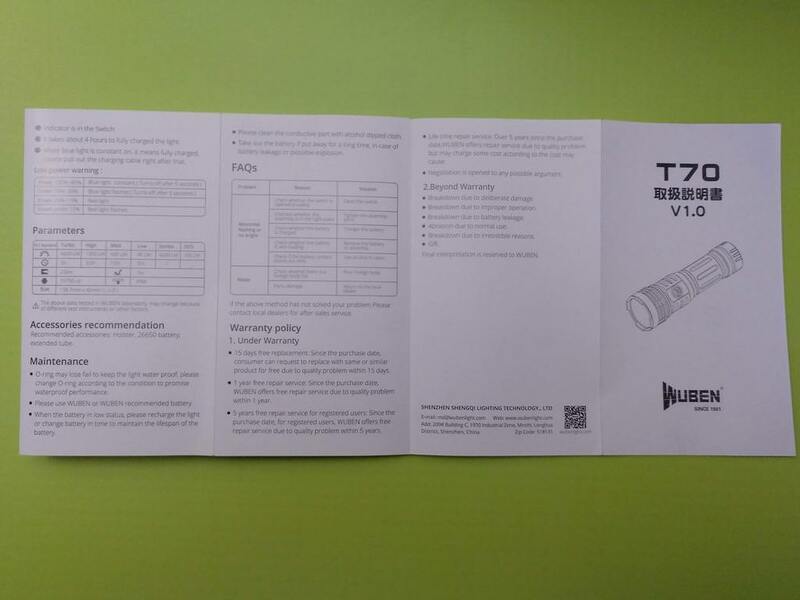 First the User Manual! Sorry for being a bit dark due to light contrast! As for other Wuben flashlights, it is written in 4 different Languages (English, Deutsch, Chinese and Japanese). 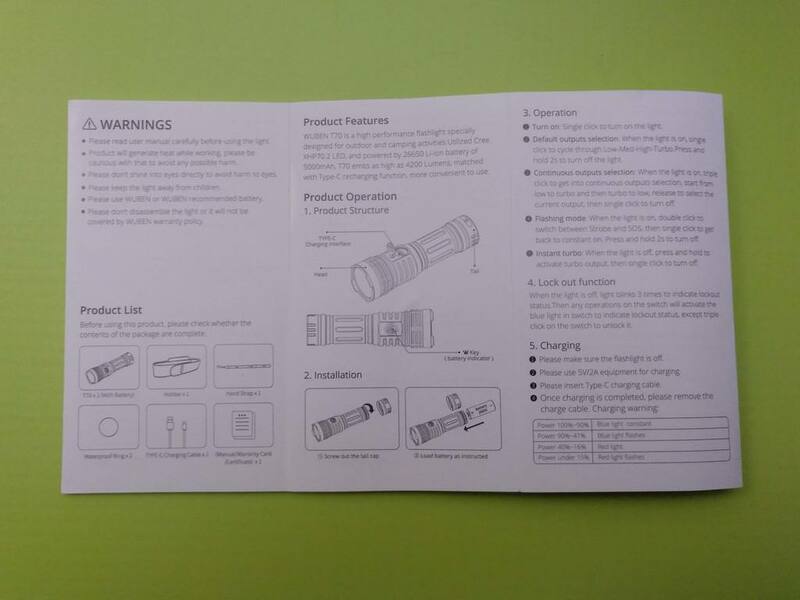 English is well written and explains pretty much what we need to know about this flashlight. 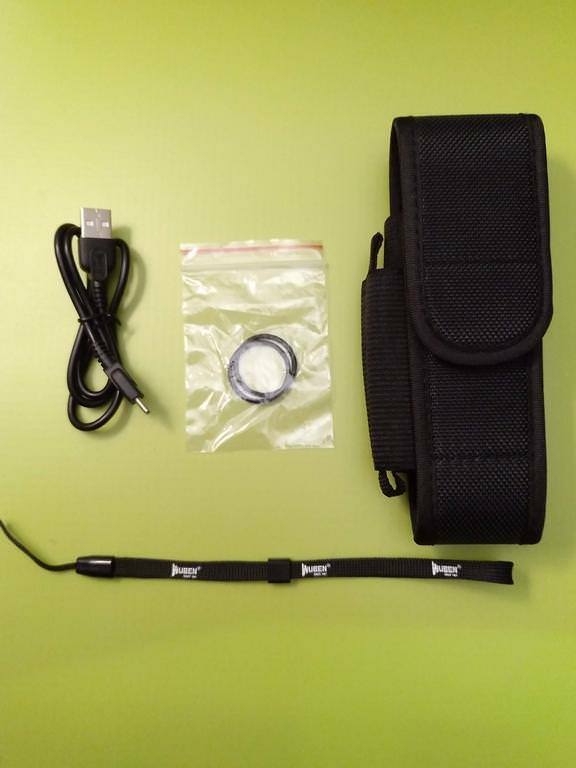 The points addressed in it are: Warnings; Products List; Product Features; Product Operation (Structure, Installation, Operation, Lock and Unlock, Charging, Low Battery Warning); Parameters; Maintenance; FAQs; Warranty Policy (Under and Beyond Warranty). 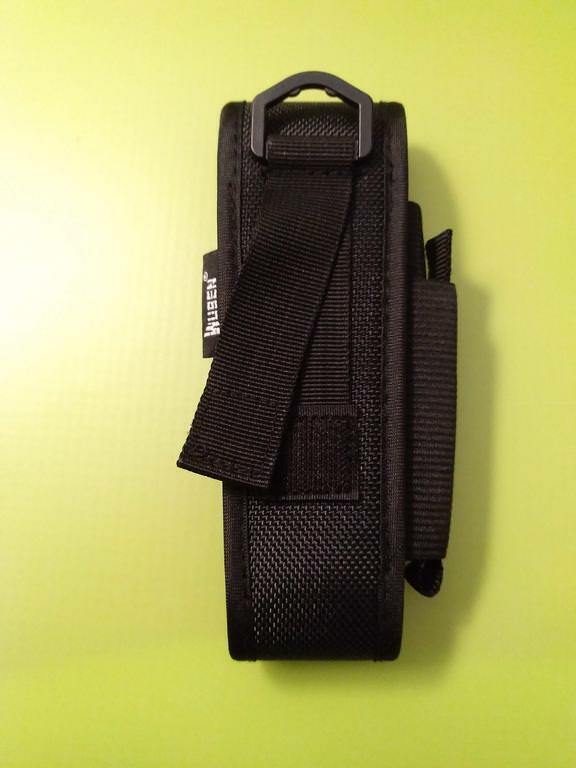 Besides the UM, we got some more nice stuff in the box, namely a holster for the flashlight, with a smaller compartment on the side, where another small flashlight can be put or a spare battery! 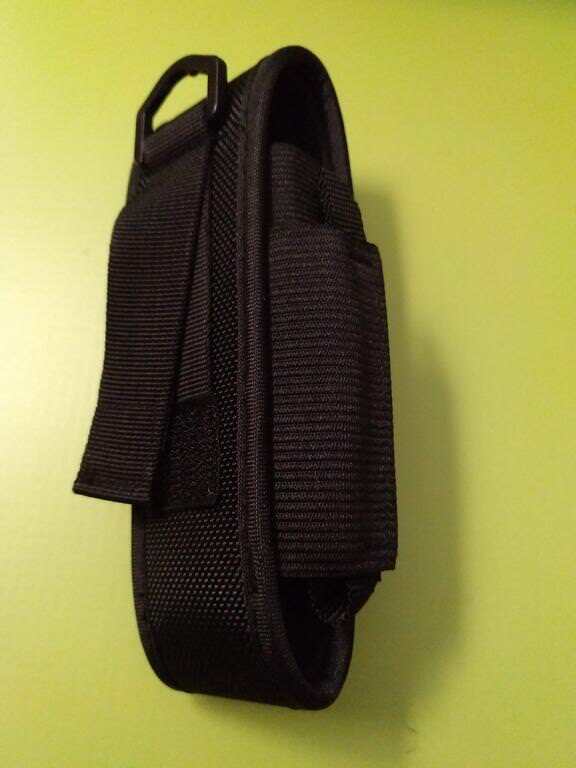 I tried to use the holster and found out that it will be better using it the head upwards instead of downwards, due to its bigger diameter! 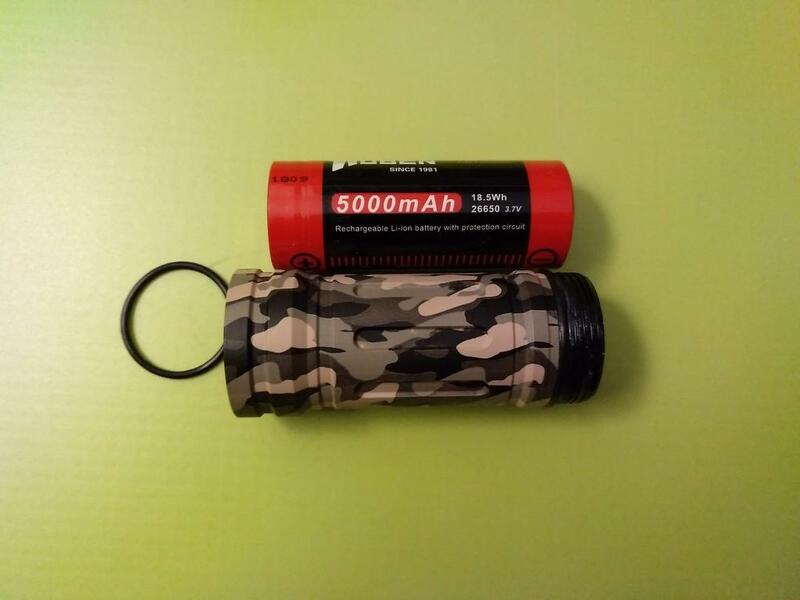 Inside the flashlight there is a Wuben branded 26650 5000mAh 3.7V Li-Ion battery (18.5Wh, ABT5000C), protected with raised flat top (70,3mm length). I have no means to test this cell, sorry I can’t provide much data on it. 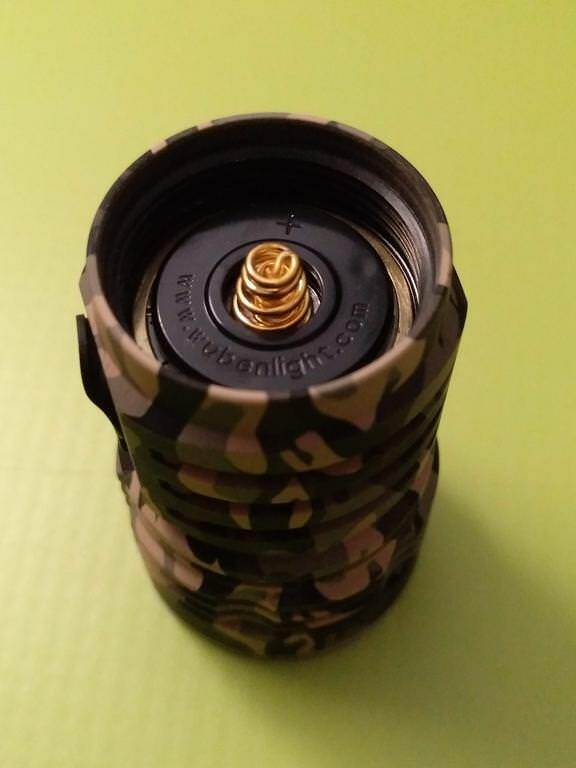 It fits well on the battery, without rattlings. 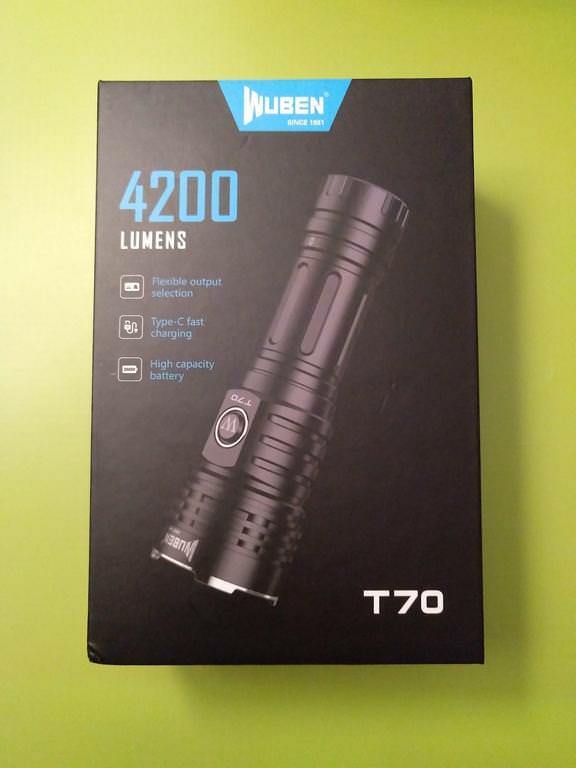 The Wuben T70 has 2 modes: 1 “regular” mode with 4 levels + Strobe & SOS and 1 mode consisting on ramping (also called “continuous outputs”). 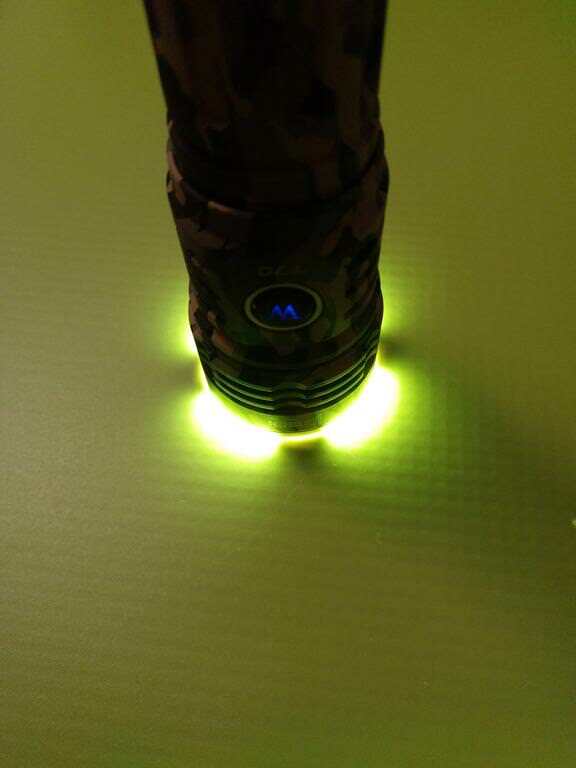 Flashlight has memory, except for Strobe & SOS. - Single click: Turns the light ON in the last used mode (levels or ramping). 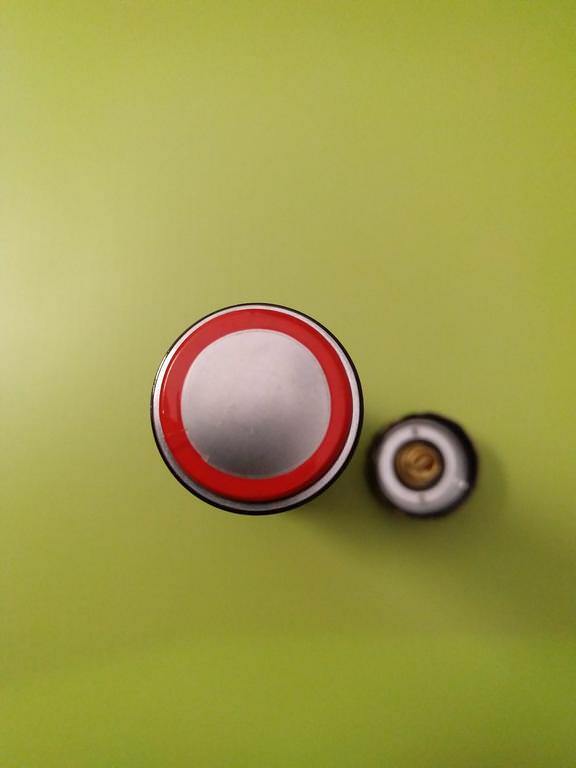 a single click while on Strobe or SOS turns the light OFF. 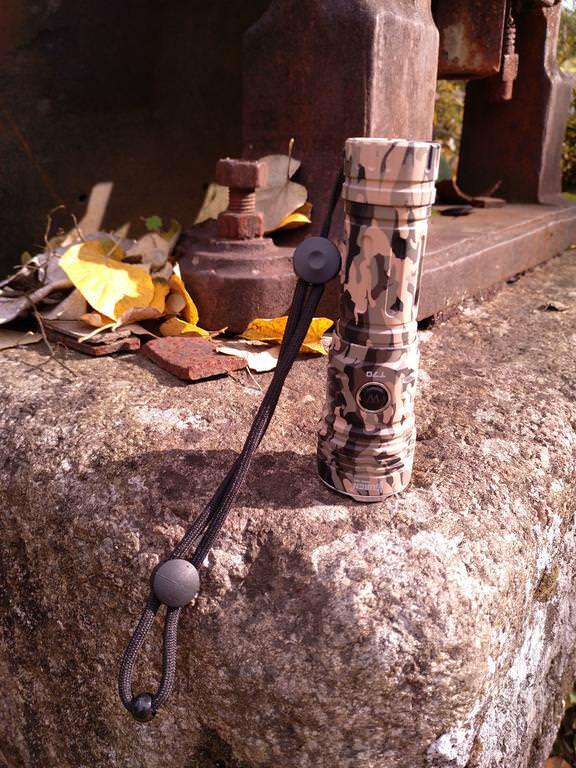 - Triple Click: Locks or Unlocks the flashlight (the LED blinks 3 times for each situation). a single click while on Strobe or SOS returns to the last used level. - Triple click: changes from “regular” mode to “ramping” (the LED blinks 2 times on this change). - Triple click: changes from “ramping” to “regular” mode (the LED blinks 2 times on this change). 1) Operation 1: Press & hold from that level – without turning the light OFF – will ramp UP. 2) Operation 2: Single click turns the light OFF. When turning it ON again, it will come up with an output equivalent to HIGH level, and press & hold will only ramp UP. NOTE 1) Ramping can only be done in 1 direction at a time. Meaning: if you start ramping UP, it will need to go until the highest output to start ramping down. The same goes for ramping down. NOTE 2) Ramping doesn’t stop on the lowest or highest level. Meaning: when the ramping reaches its lowest and highest limits, the light will blink 1 time but the ramping on the opposite direction will start right away. 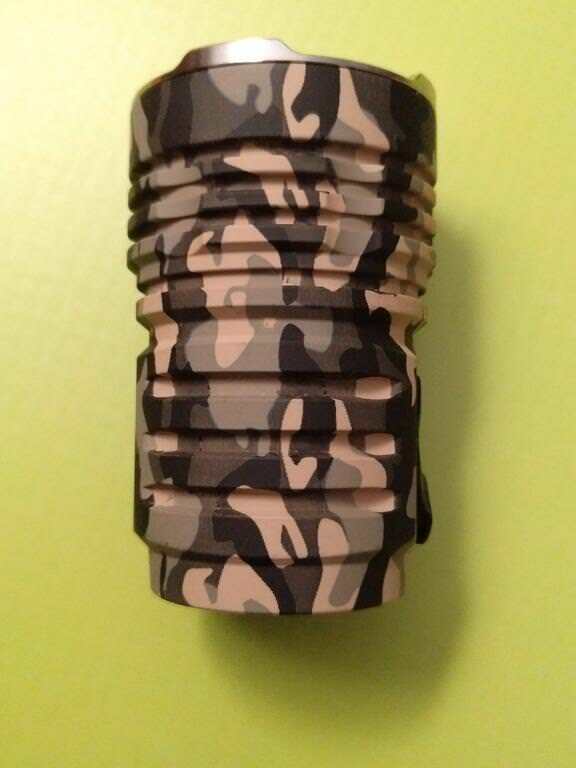 NOTE 3) Complete ramp up or down takes about 6,50 seconds to reach the lowest or highest outputs. NOTE 4) Strobe & SOS are not accessible from ramping mode. The information about output and runtime is given for the 4 regular modes! 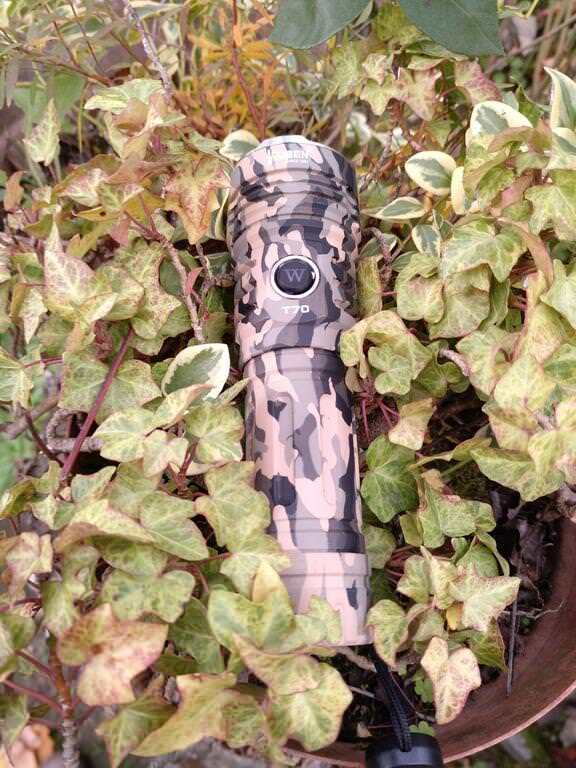 NOTE 2: I guess it must be said that being a high output flashlight, it will get hot with extended use of High or Turbo levels. 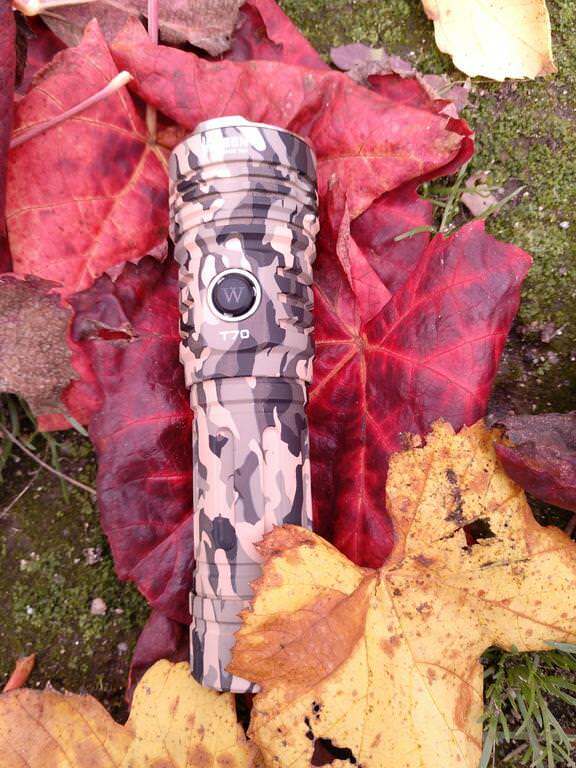 However, not being a hot rod as the Emisar D4 and having a thick body, it can be held in the hands without any issues! NOTE 3: I didn’t have the time to make an amateur test of how long does it take to step down from Turbo, and that is not specified as well! If I get that time later, I will do it and show the results. And this was post #1! 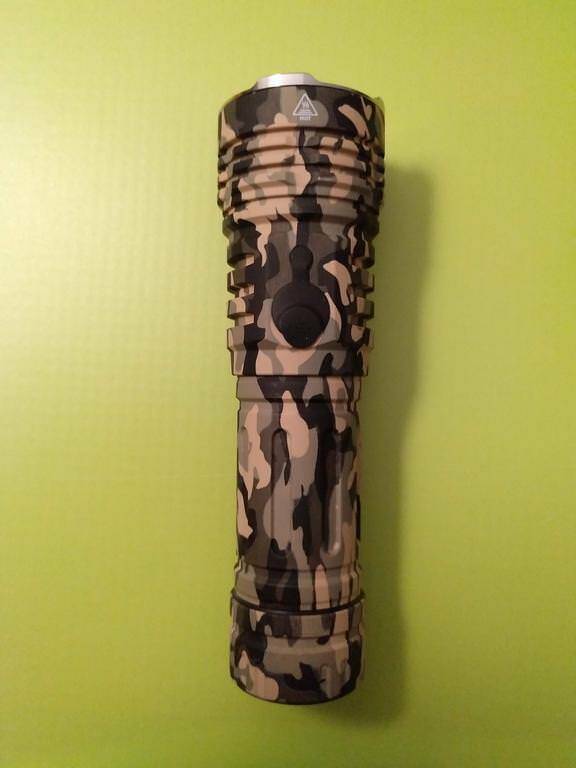 Tout de suite, post #2 with beamshots and considerations on this flashlight! 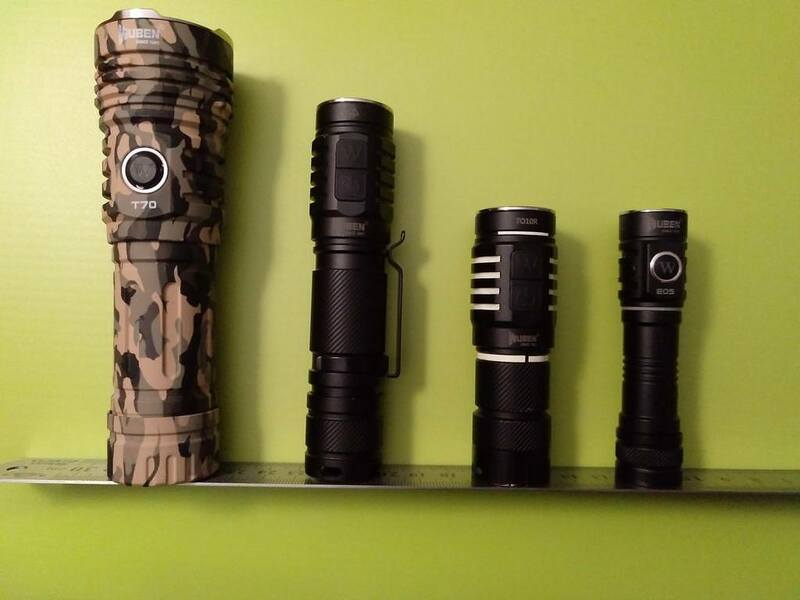 Let’s start with some flashlight comparison, just to get a notion on the T70’s dimensions! 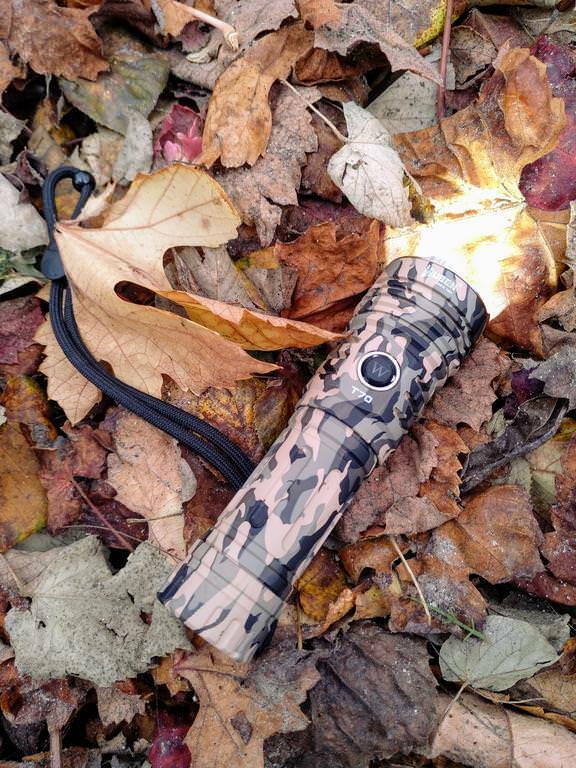 And finally, with my other XHP70.2 flashlight, the Amutorch AM30, my biggest and most powerful flashlight (so far )! 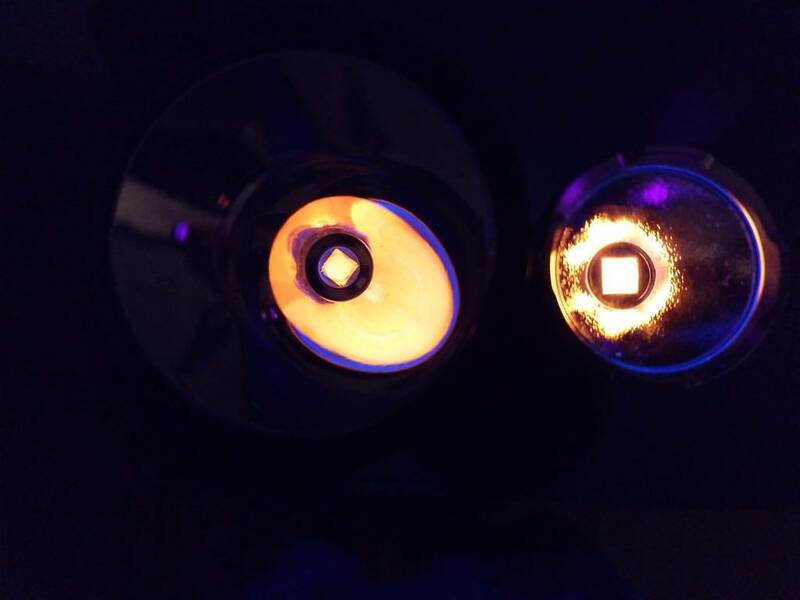 Now, some “under UV” light beamshots as well, to check on the LED! 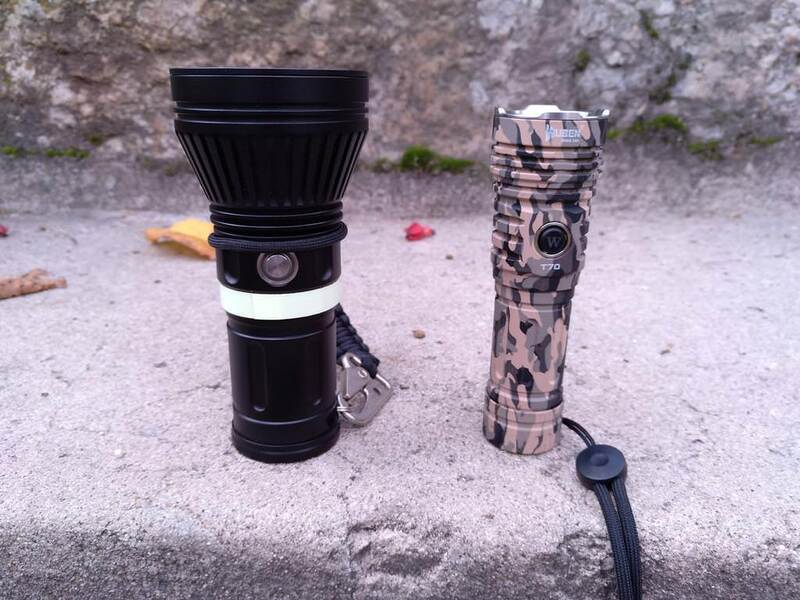 A comparison with the Amutorch AM30 (left, with SMO reflector). 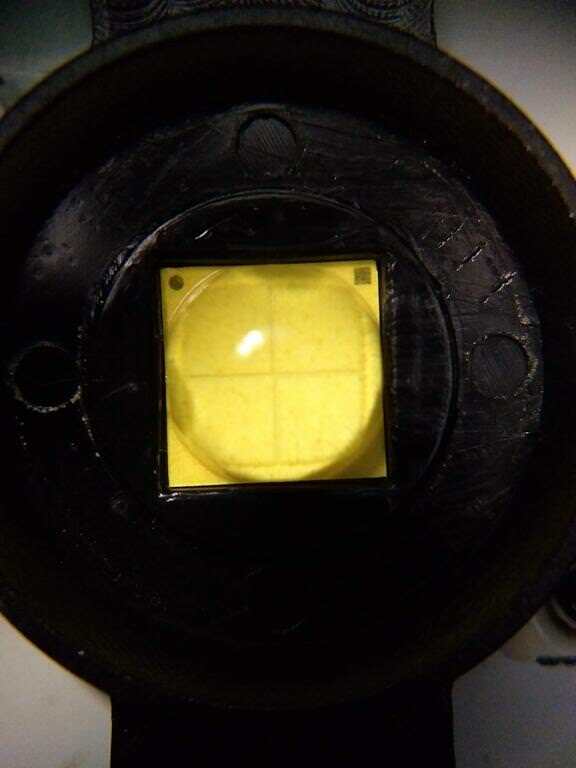 Let’s see what it shows with a close-up above the LED. 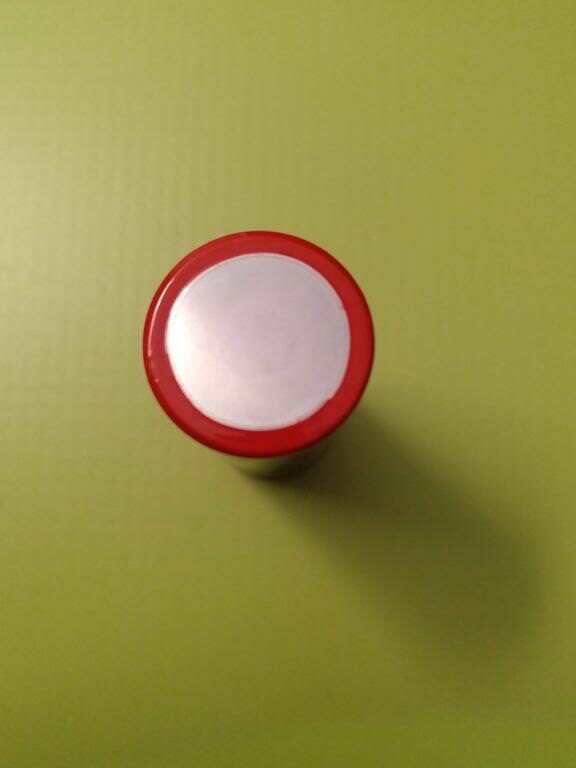 In the lowest mode, there are some stripes due to the CC driver. 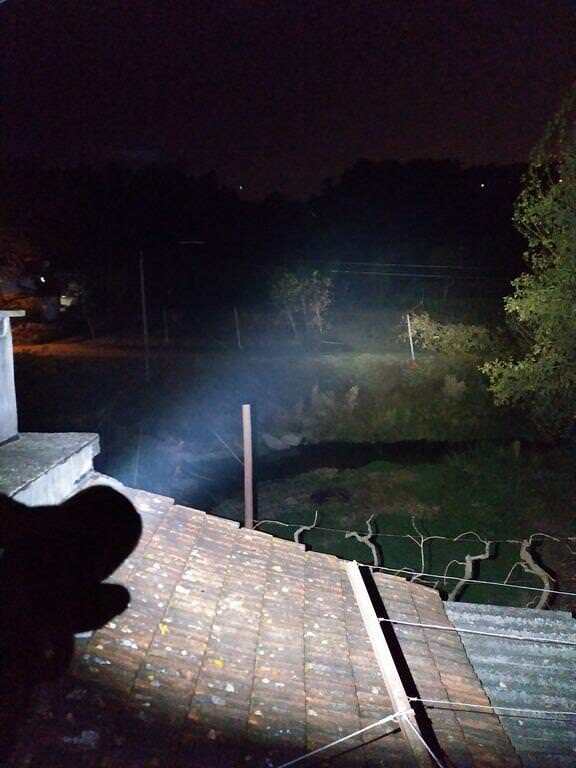 No PWM is visible without camera. 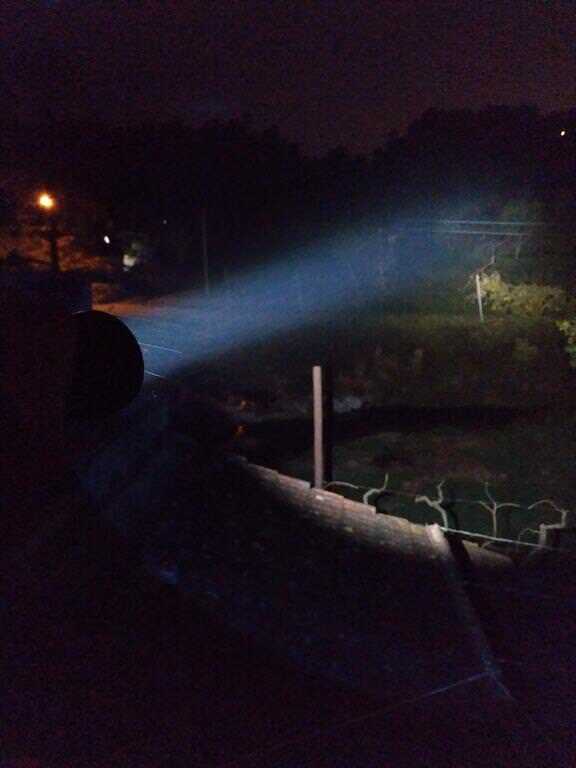 Here’s a look to the beam pattern as well. 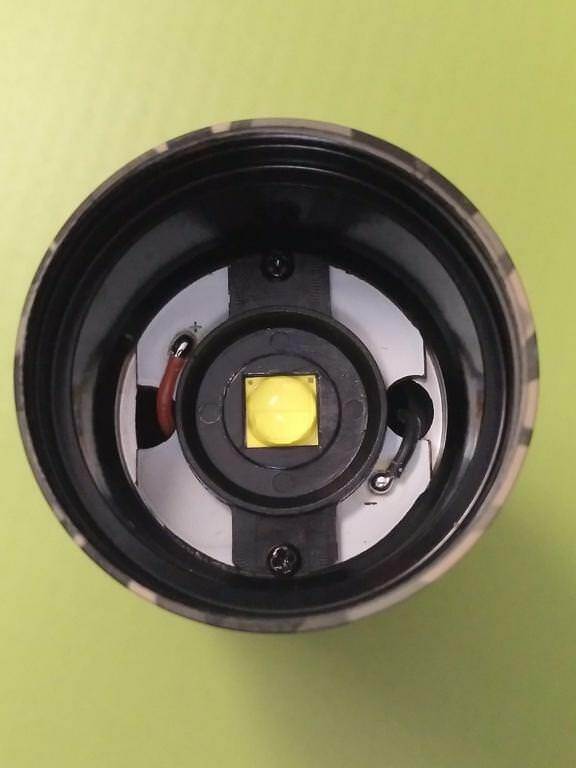 Being this a Cree XHP70.2 LED it produces a yellowish shift in the corona that even the OP reflector can’t disguise. It is normal. In outdoor situation it is not highly noticeable unless on the lowest mode in some occasions. If we are not hunting white walls, it will not be troublesome! 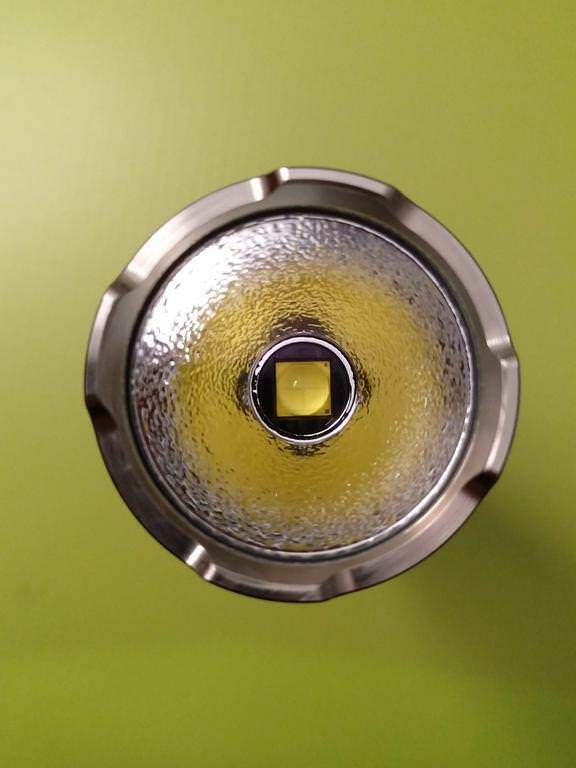 I compared the beam of the Wuben T70 with the Amutorch AM30 (that used a XHP70.2 as well, but thas a larger SMO reflector) and it can be seen that the OP reflector spreads the light on a not-so-focused beam. 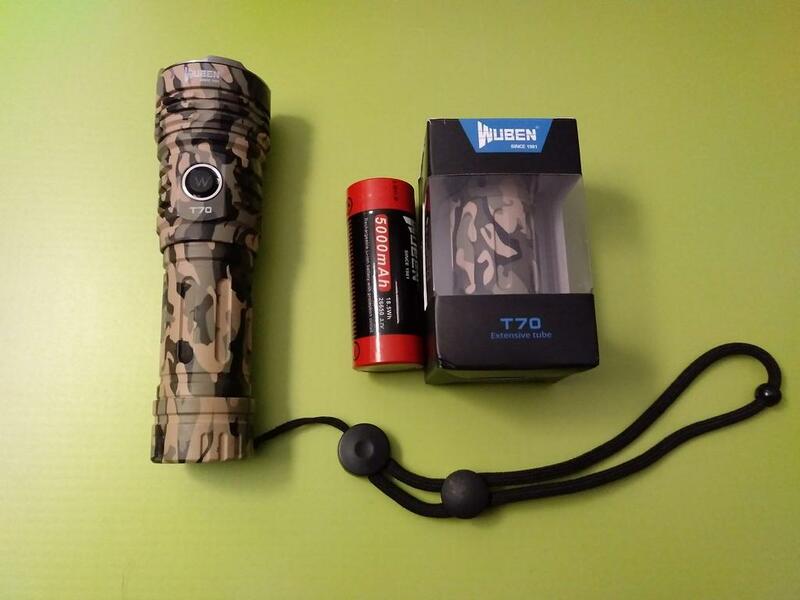 First, I want to thank again to Jelina and Wuben for sending this flashlight for review! Thanks! 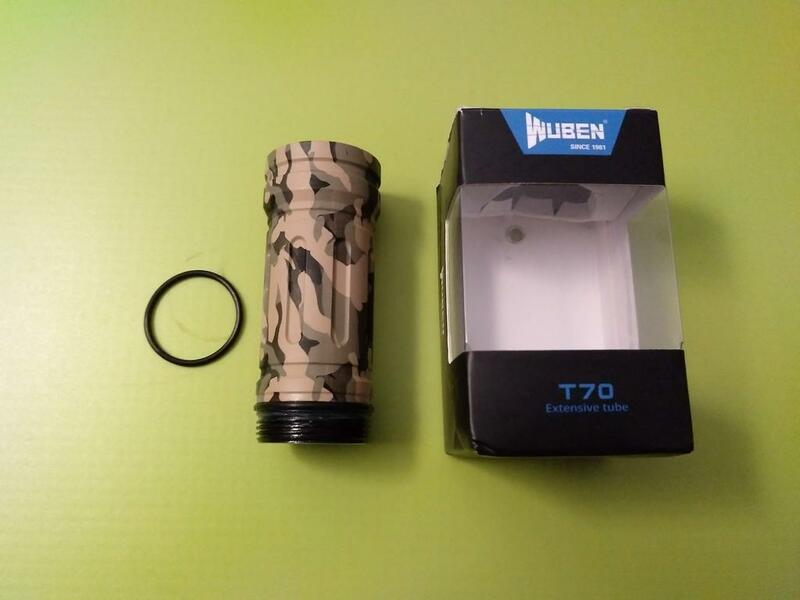 Second, I will tell what I think of the Wuben T70! 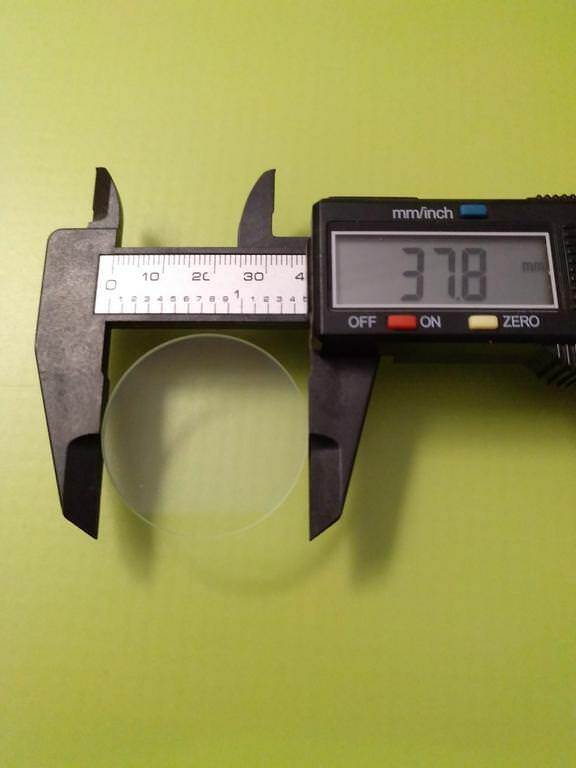 1) Overall quality is excellent! This must be stated in the first place, as all that is related to the body and components is great, without flaws or functioning issues! 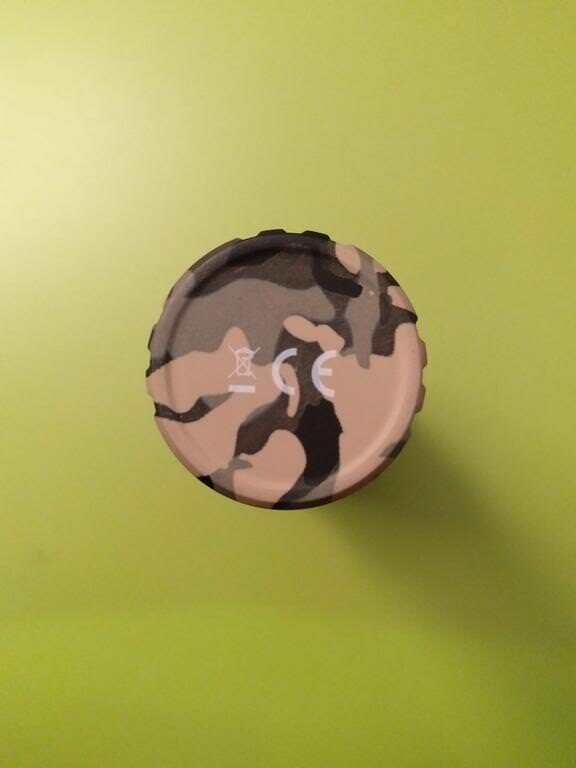 2) I love this Camouflage pattern! 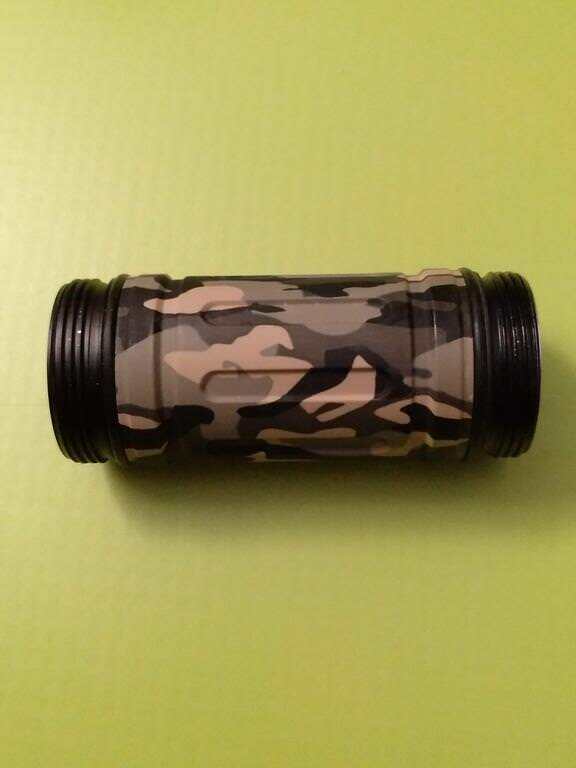 I really do, as it is different from what I had so far, and because the anodizing that makes this pattern is also great! 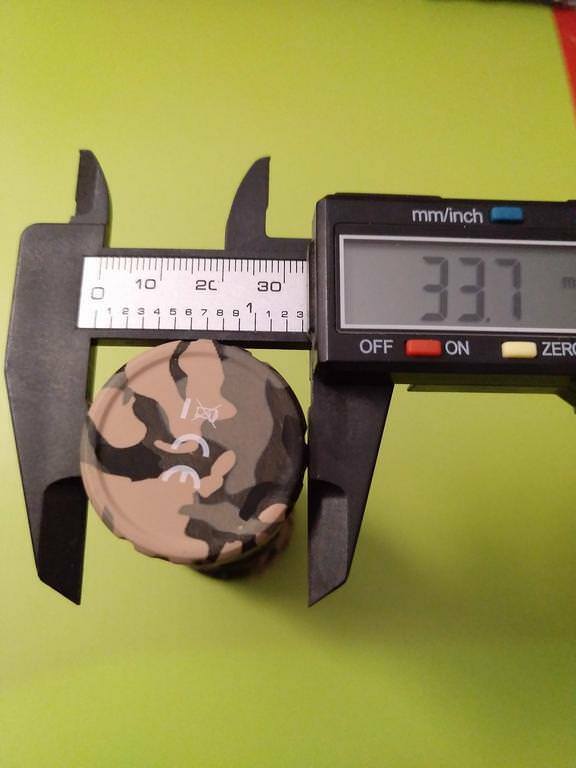 I am not sure if it will wear fast or not, but I will find out with more use. 3) Thick body with good ergonomics! 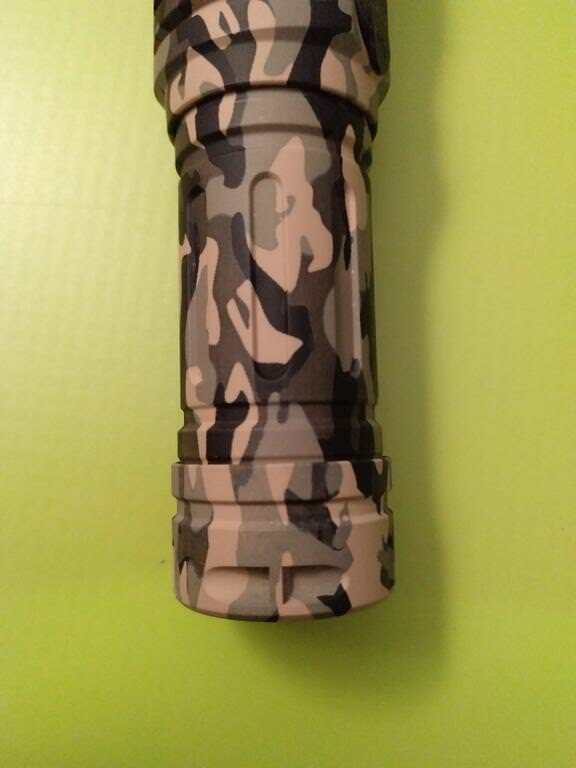 This is my first 26650 flashlight so I never had a battery with these body characteristics, namely diameter. 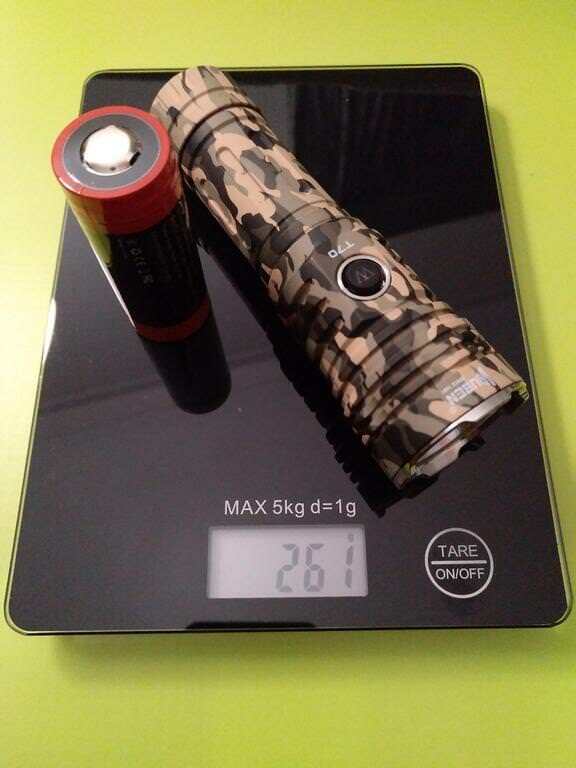 Being a thick body flashlight and larger than the 18650s, it fits well in the hand, being easy to locate the front and the back (as the switch and the USB port are in opposite faces but not symmetrically!!!). That is an improvement looking at the TO46R for example. 4) The output! 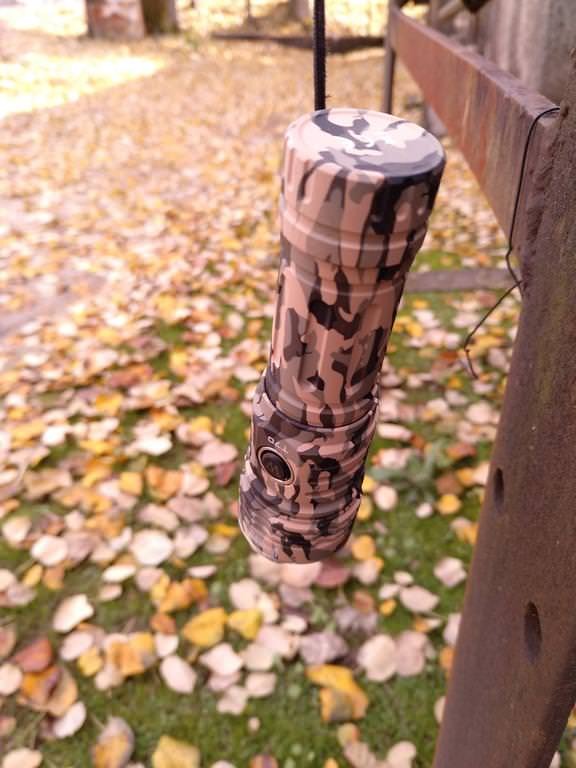 It lights well in some hundreds or meters, despite having a OP reflector and not SMO, what would make it more throwy. 5) The mode spacing! As ever, Wuben nailed it , and the mode spacing is perfect, having perfect usability in all of them. 6) Shortcut to Turbo and Momentary Turbo from OFF! 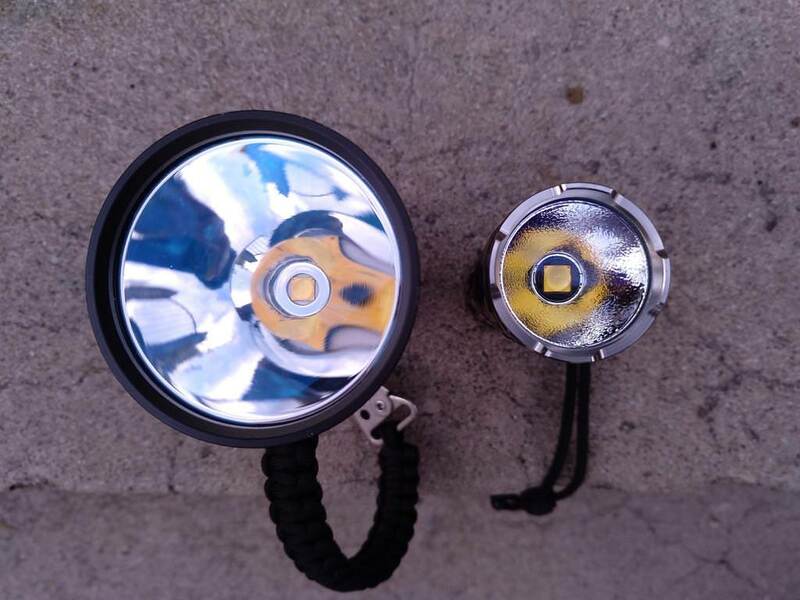 I like these 2 features, once momentary Turbo helps to blink as a distress signal and the constant Turbo from OFF allows having a burst of light when needed! 7) Hidden Strobe and SOS! I don’t need to say much more, do I? 1) Shortcut to turbo from ON. I would implement this as another feature once it may be important to have Turbo without having to cycle through all the modes. 2) Ramping mode. I would probably change the way the ramping is operated, introducing the possibility to ramp up and down without having to do the whole path upwards or downwards to ramp in the opposite direction! 3) Introduce a Moonlight Level! 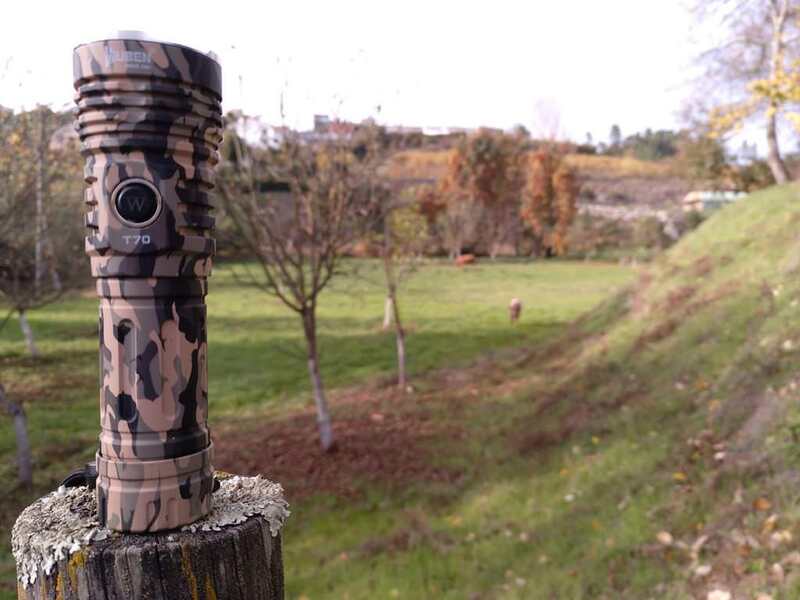 Well, even this being a flashlight designed mostly for outdoor use, eventually military (due to the camouflage), I would introduce a Moonlight level outside the 4 regular modes, with direct access from OFF. 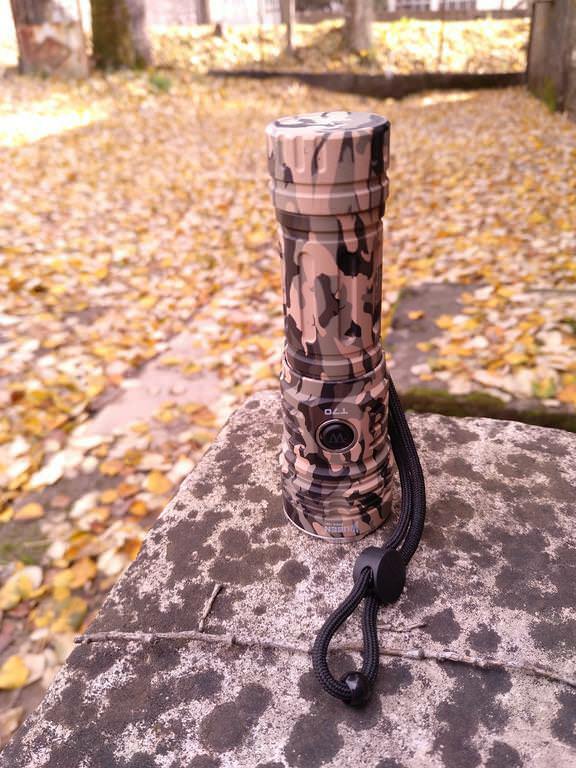 It is always useful to have a lower mode on a flashlight like this, in my opinion! 4) Configurable Memory! 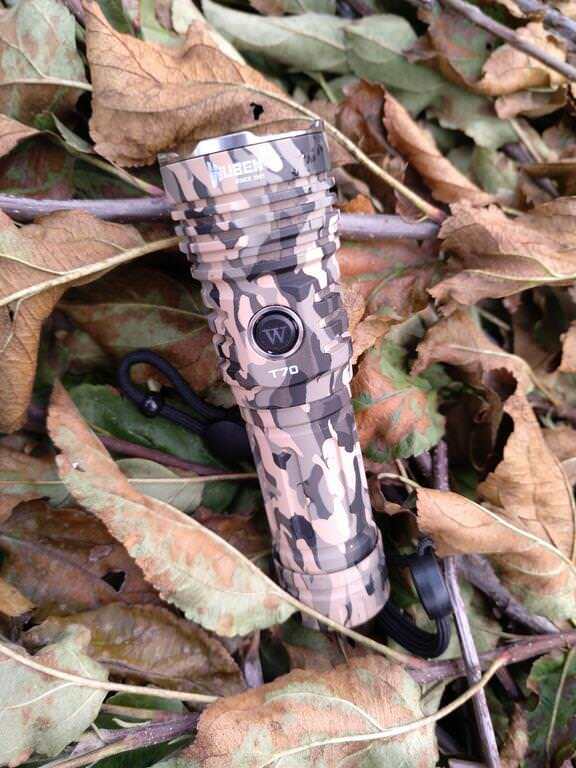 Well, on the one side, having memory for the last used mode is not that bad being an “outdoor” flashlight, but I would prefer to have it configurable so that users can chose what to have. 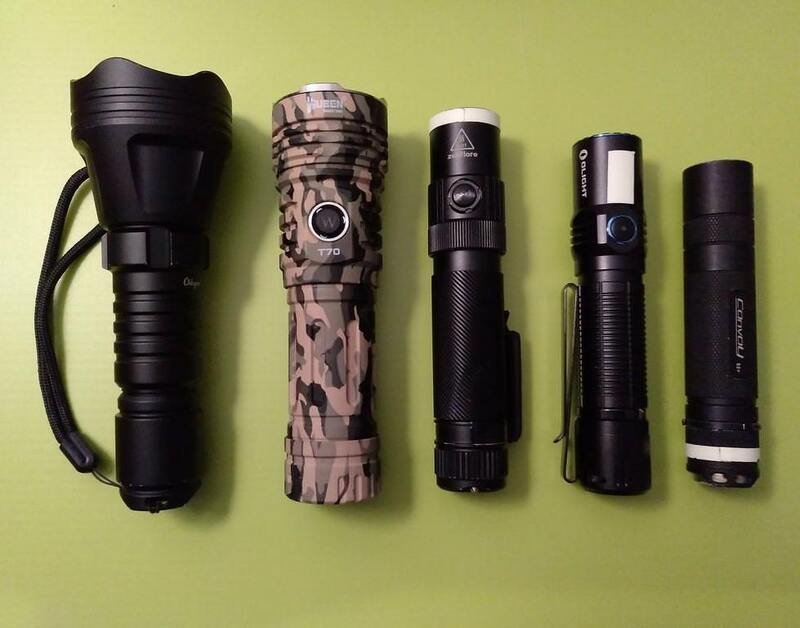 I know it is not a common thing to do in these companies’ flashlights, but it would be a nice feature to have! Thanks for reading and let me know about questions or comments you have!! 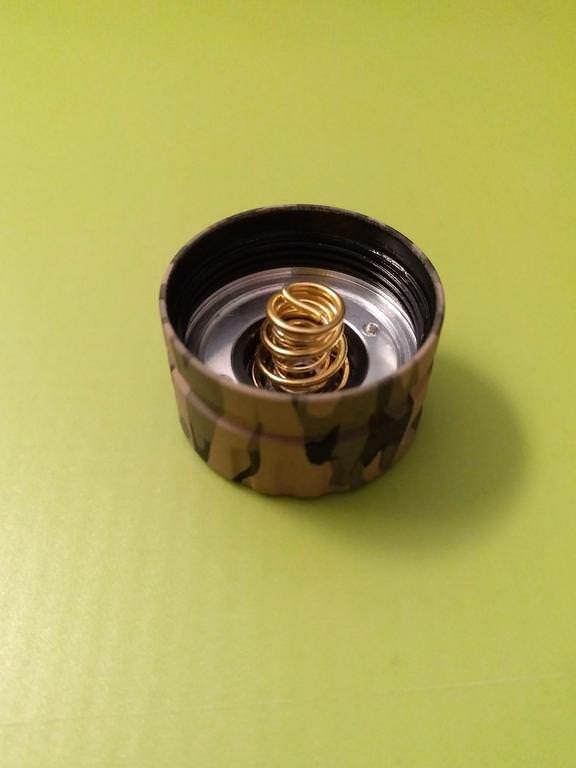 Can you get a magnet close to the springs? I would like to know if they are steel, or made of a copper alloy. Yes I can! Just did it and the magnet didn’t stick on the springs (both, driver and tail)! Nice. 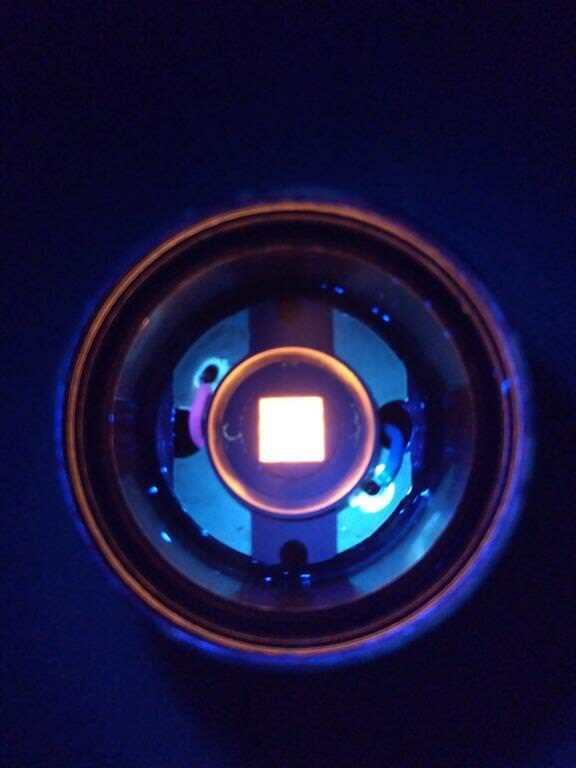 That means they’re using high current phosphor bronze/BeCu springs. That means there shouldn’t be a problem regarding to spring voltage drop affecting turbo output. I have to say though. 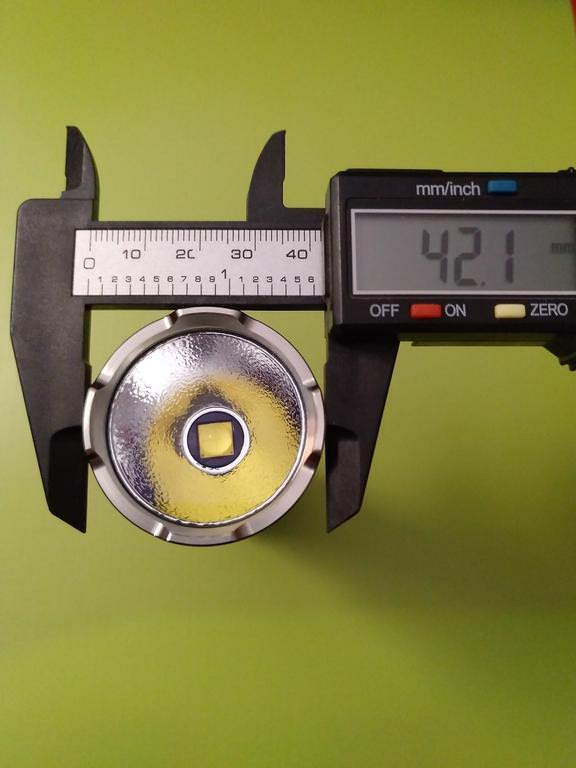 The light is massive, even if using a 26650. 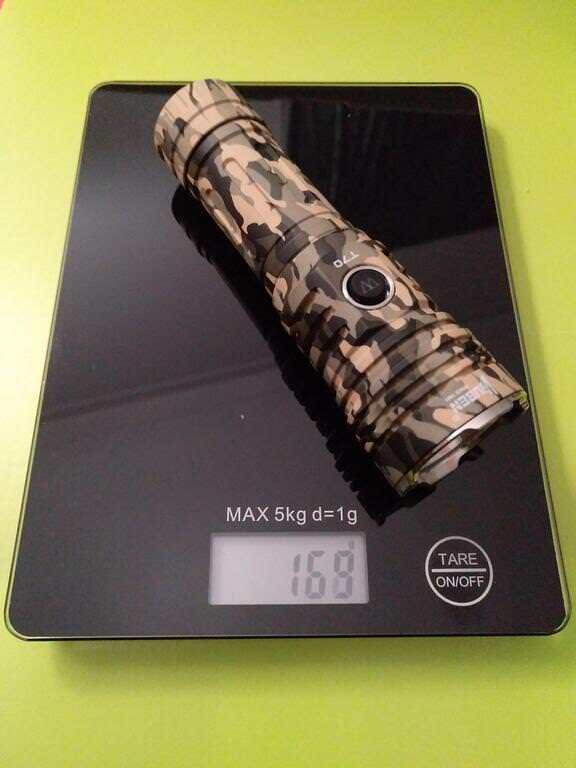 Yup, if compared to other lights (namely the smaller ones as Emisar D4S), this light is big, but I can tell you I’ve been abusing it and the mass allows it to sustain turbo quite well! It gets hot, no doubt, but at least at naked eye, there is few output decay within a certain range of time (not measured, btw)! - at this voltage (+- 3.4V), using the regular group will only allow Low and Medium modes and occasionally High! - when using Strobe (double frequency, characteristic from Wuben), on a silent environment you’ll hear the circuit internally, like if it was a fan with double frequency! 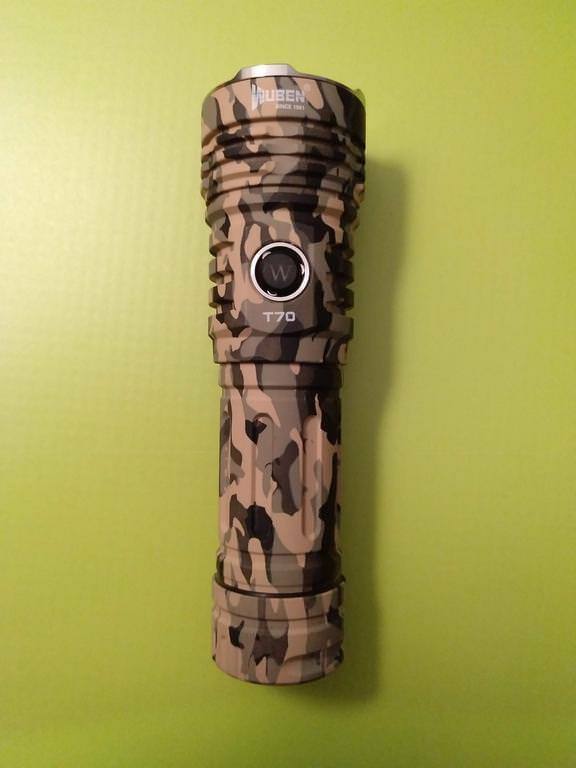 After using it for a while now, I can say that this light is reliable and is really well built, no matter what! 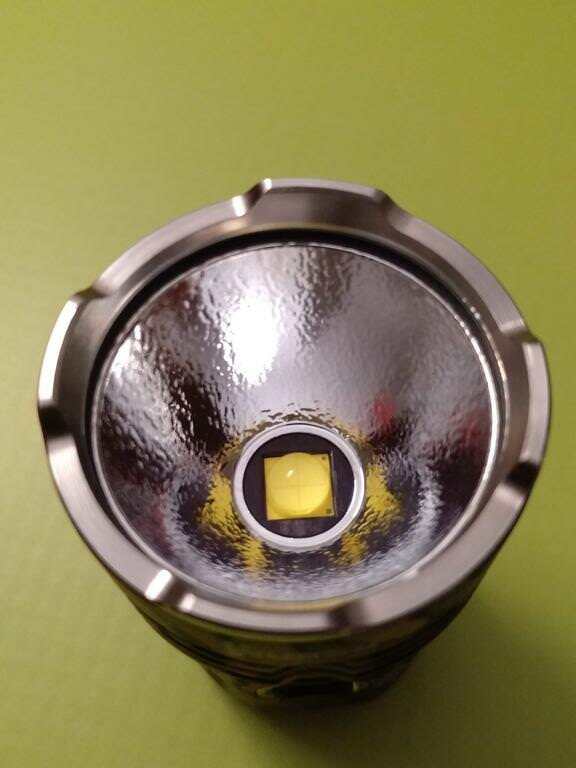 Even if it is “big” I guess someone wanting a good light for outdoor, will be happy with this one!! 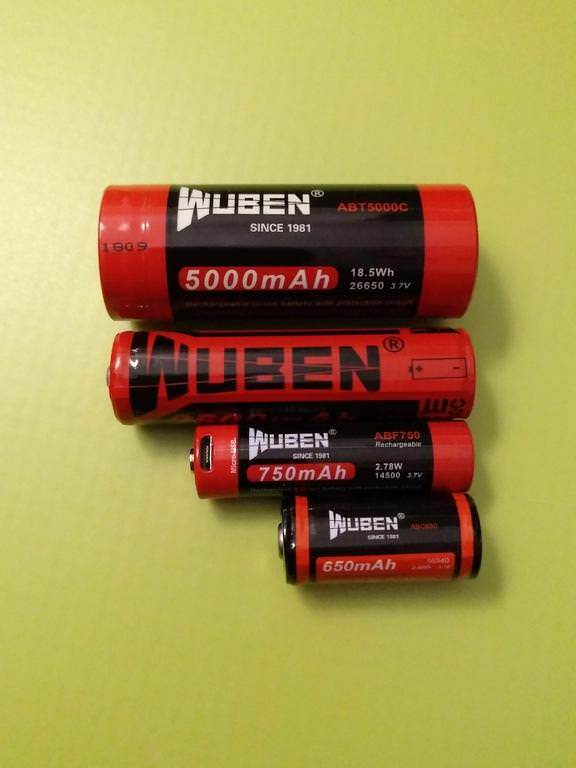 Some weeks ago, Jelina from Wuben sent me an extension tube for the Wuben T70, so that it can fit 2×26650 batteries. 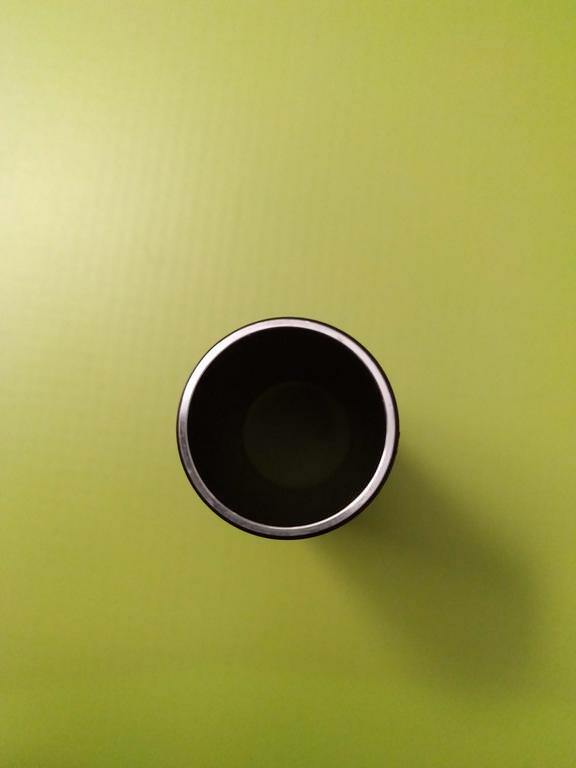 The tube arrived some days ago, and here are come pics. 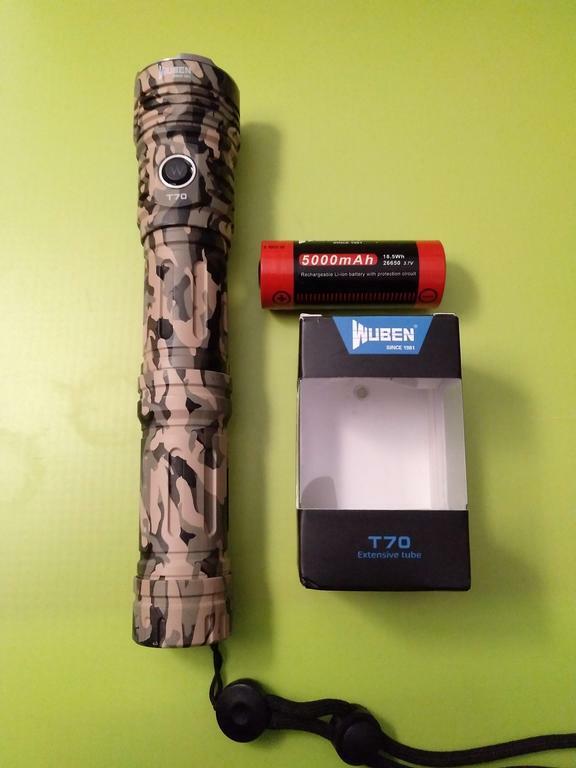 Note: I don’t have more 26650 batteries, so I had to test the flashlight with 2×18650s and some tubes inside. Still, it worked ! Thanks for the informative review. Interesting. I really like 26650 form factor, but I sounds like ramping usage would be frustrating. Keep it in stepped mode. Yup, I do prefer to use it with the regular modes instead the “ramping”! I assume it is an E-Switch. Can you measure the parasitic drain in standby? 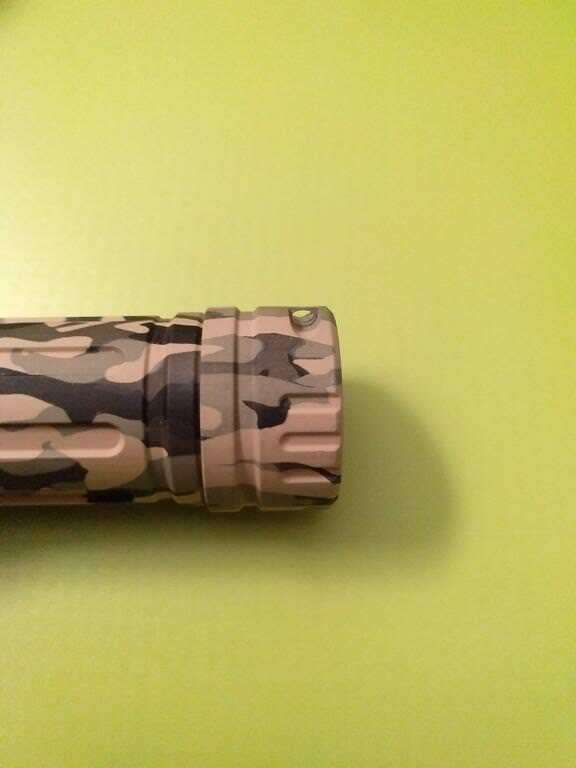 The camo appears to be powder coated, or some sort of spray painted coating, on my T70 camo. 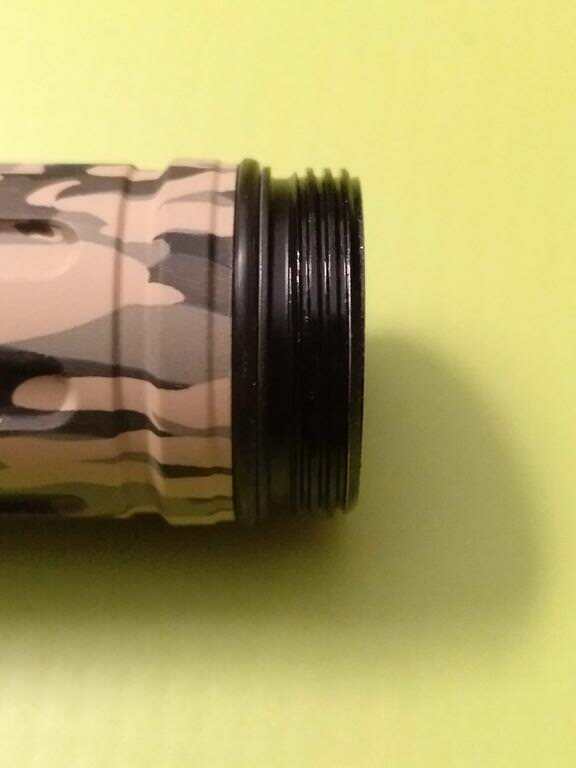 It spilled on the inside of the battery tube, and suspicious colored soft fragments around the tube to head threads. I pulled the driver out of mine - oh boy, 3 PCB's, 2 of which are populated with SMD's on both sides. 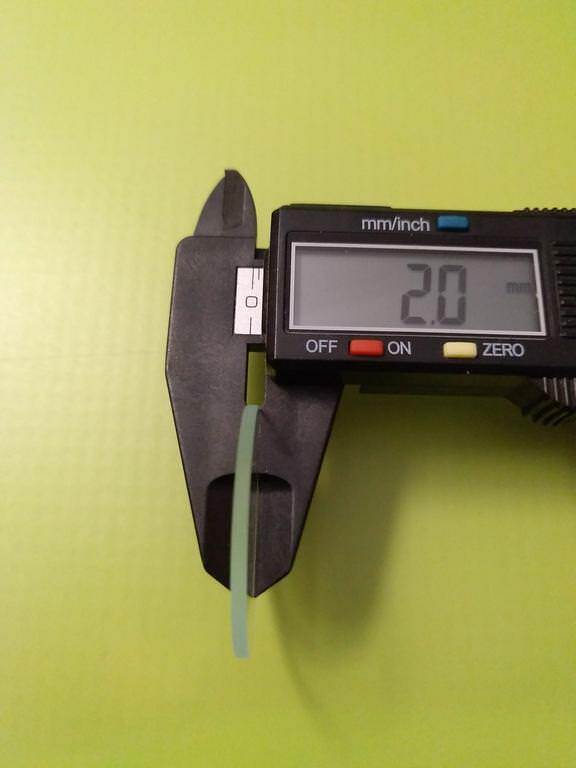 LED wires are tiny - 24 AWG. To remove the driver, you must de-solder the LED wires, unthread the retaining ring on the switch, and feed the switch into the cavity because the switch wires are too short - knowing that trick it's then easy for the driver assembly to come out.